This week’s comic was inspired by a friend of mine (that would be you, Rachael Rosenthal!). I shamelessly stole from a post about her mare, Lyric, who seems to embody just what it is to be a mare perfectly. I am a HUGE fan of text messaging, particularly because I’m always overbooked and running around like my hair is on fire. I rarely check my voicemail (and by rarely I mean “I have voicemail?”) so texting is really the best way to get ahold of me. That being said, some text messages — while quasi- convenient– are perhaps best left unsent. Morgane here again with another product review (because seriously, who doesn’t love trying fun tack?). 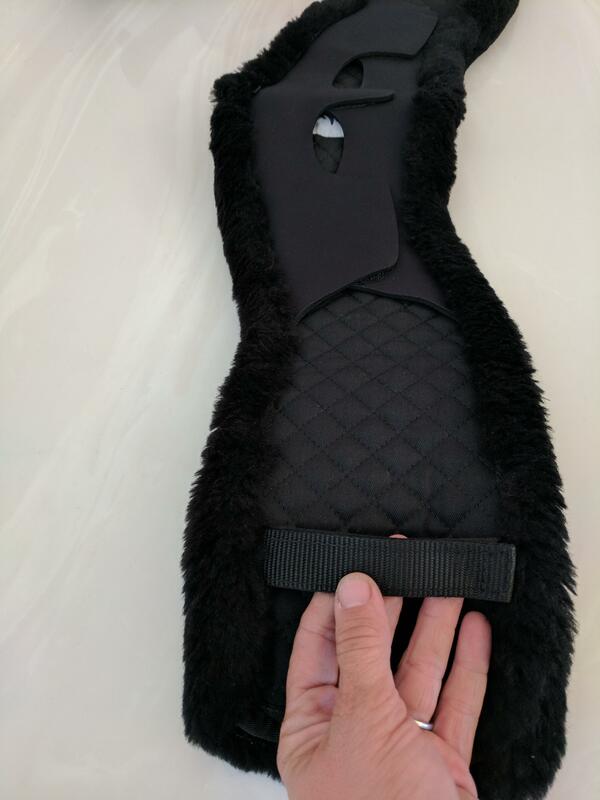 This time I want to discuss Total Saddle Fit’s newest girth, the StretchTec with fleece. 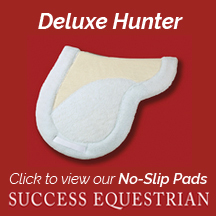 You may remember that I reviewed their original shoulder relief girth when it debuted and was solidly impressed. The StretchTec fleece girth is equally impressive, managing to build on their previous design and offer even greater performance and value. So what makes this new girth different? 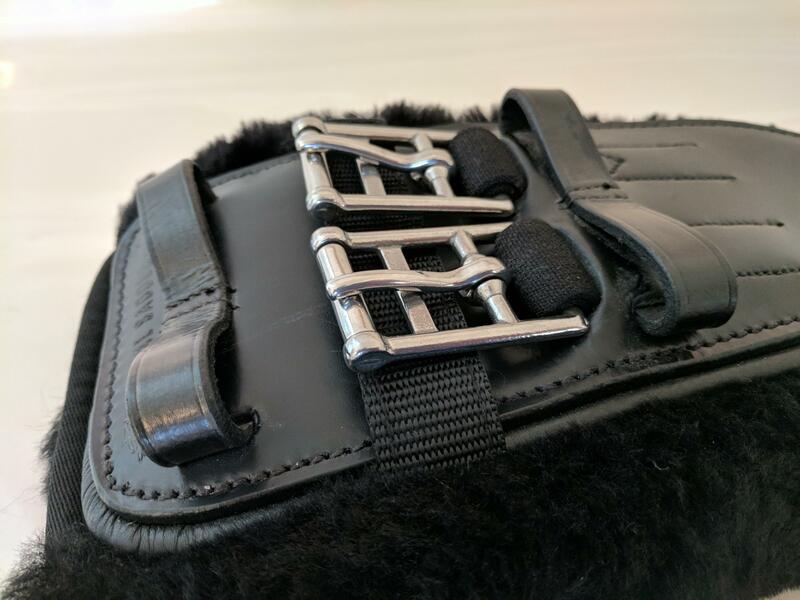 The StretchTec fleece girth essentially takes the popular, and effective, anatomical design one step further incorporating segments attached with elastic that offer the horse more freedom of movement through the rib cage and better breathing. This basically means that there’s less respiratory restriction while working which translates into better performance. While the theory certainly sounds good, I was eager to see how the actual girth functioned in practice. A bit of disclosure though, I am no stranger to segmented girths and perhaps a bit biased towards them as I’ve actually frequently used Stubben’s Equi-Soft girth with great results. 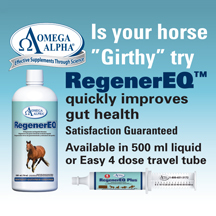 Unfortunately, the hefty price tag on that particular girth prohibits it from being a go to for many of my clients. That being said, I was quite hopeful that the StretchTec would perform similarly. To put it to the test I choose Stormy, AKA The Paintlet, first. He provides additional girthing challenges as he’s pink and easily chafed. He’s also insanely sensitive about being confined or restricted; when riding you can’t close him up too much behind and in front simultaneously or he gets extremely tight and worried (I think it’s a bit due to his overachiever personality). Given all that, it’s fairly easy to tell if he likes something or not. When initially girthing him up in the StretchTec, I liked how it aligned the saddle and the amount of clearance it left behind his elbows (see the below photo). After the first ride it was equally clear that Stormy was happy with the StretchTec. He was quieter in his work (no grinding his teeth, a personal favorite activity of his when his brain starts to overheat), better off the leg, and just generally more relaxed and through. This trend has continued over the past few weeks of work using it. Because he’s such a sensitive horse, I surmise the relaxation likely comes from feeling less restricted overall. After giving it a go with The Paintlet, I decided to try it on a less picky creature. 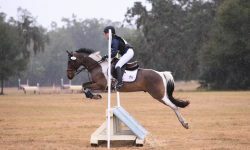 My second horse was a client’s PRE gelding, Bugatti. 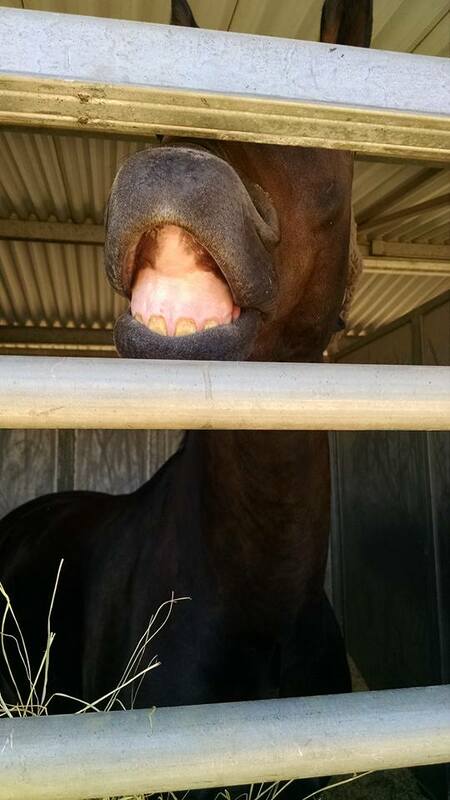 Buggles is only four but is an absolute saint of a horse who is the living definition of laid back. My reason for trying it on him was simply that I figured if I noticed a difference using the girth on such an amicable horse, then certainly the girth must really be doing something. Just as with The Paintlet, I was happy with how the girth fit Buggles. There was plenty of elbow clearance and the center panel laid nice and evenly against him. I was also impressed with how he felt going in it. In general he felt much more forward and free in his withers and his lengthenings in the trot felt easier to maintain. While the change in his way of going was not as dramatic as The Paintlet, there was indeed a notable difference. 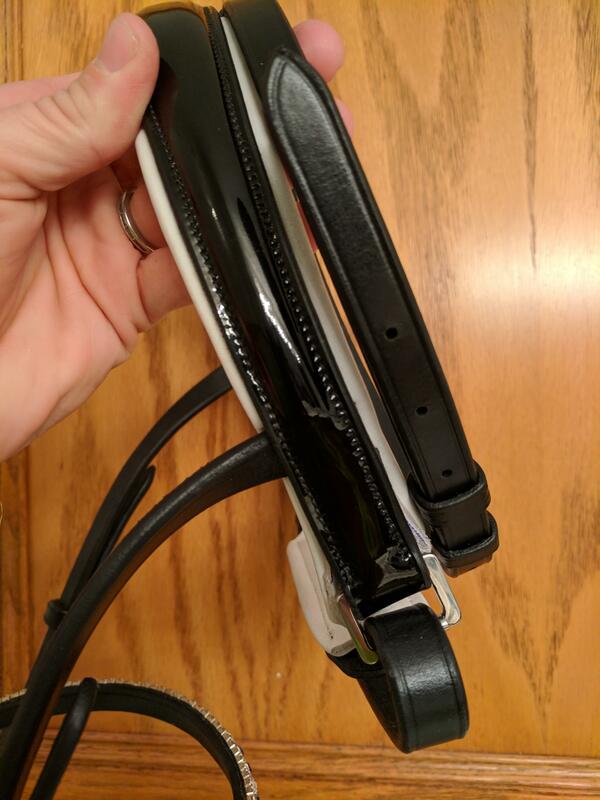 After a few weeks of riding multiple horses in the StretchTec girth, I’m pretty convinced that it’s quite effective and a solid competitor to other, more expensive segmented options. I was initially, and continue to be, impressed with the overall quality of the girth as well. 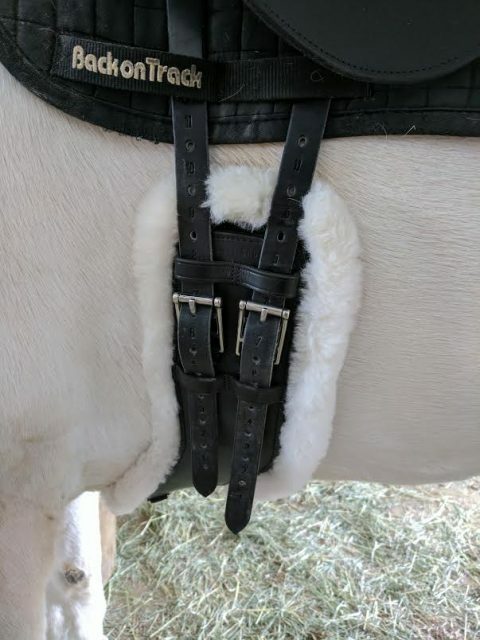 The leather is similar to the original Shoulder Relief Girth and the fleece lining is quite nice and cleans up well (though I would be thrilled if they offered it in a black fleece option since The Paintlet is a walking dirt disaster). 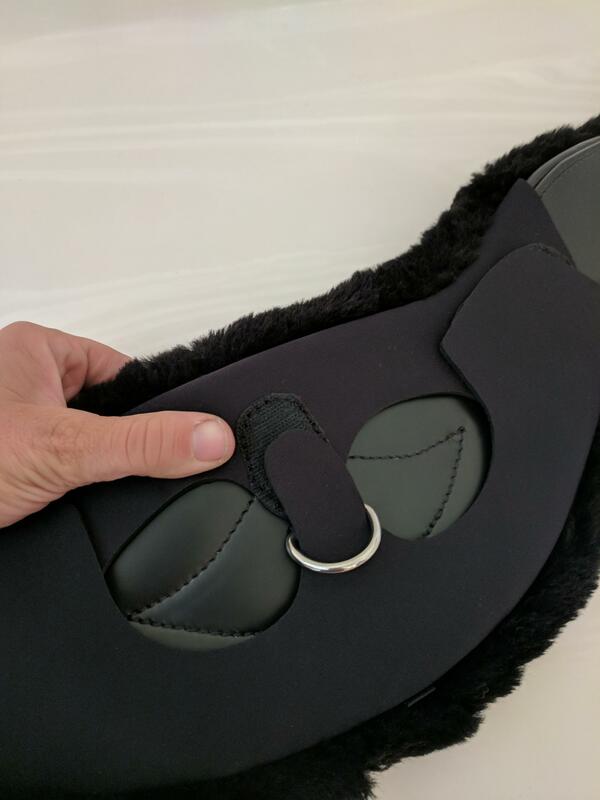 For less sensitive horses, or perhaps those who don’t love fleece, Total Saddle Fit also offers the convenient option of having a leather or neoprene lining as well as the fleece option. Those selections are good if you’re looking for something easier to clean or a more traditional look. As someone who has literally tried nearly every anatomical/high-end/stretchy/unique/majikal girth out there (with the exception of the weird donut looking thing Prestige has recently spawned), I can confidently say that this girth ranks up at the top of my list in terms of effectiveness and overall value. This is a girth worth giving a serious look at, and with Total Saddle Fit’s money back guarantee (110%!) and outstanding customer service, you really can’t go wrong. 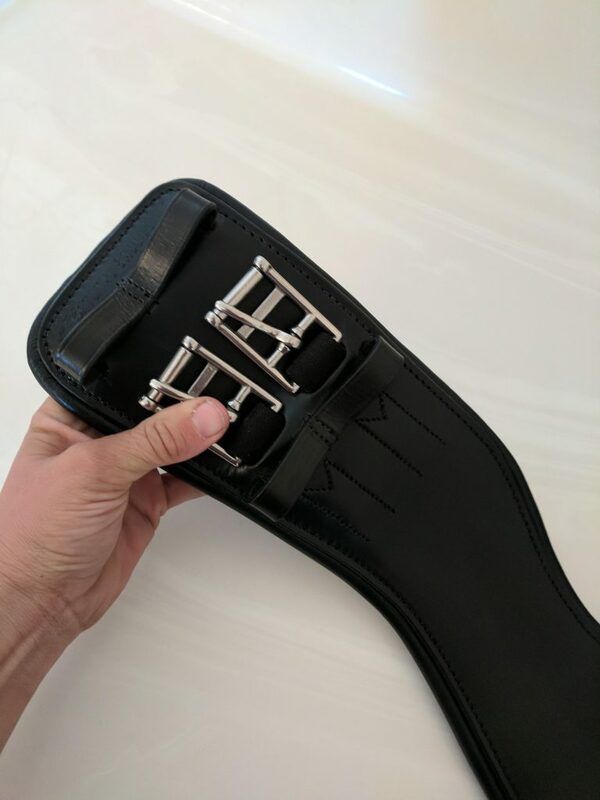 For more information on Total Saddle Fit’s StretchTec girth, or any of their other cool products, visit the Total Saddle Fit website. You can also check out their Facebook Page for additional updates, photos, and events. Morgane Schmidt Gabriel is a 33-year-old teacher/artist/dressage trainer/show announcer/ who still hasn’t quite decided what she wants to be when she grows up. A native Floridian, she now lives in Reno, NV, where she’s been able to confirm her suspicion that snow is utterly worthless. 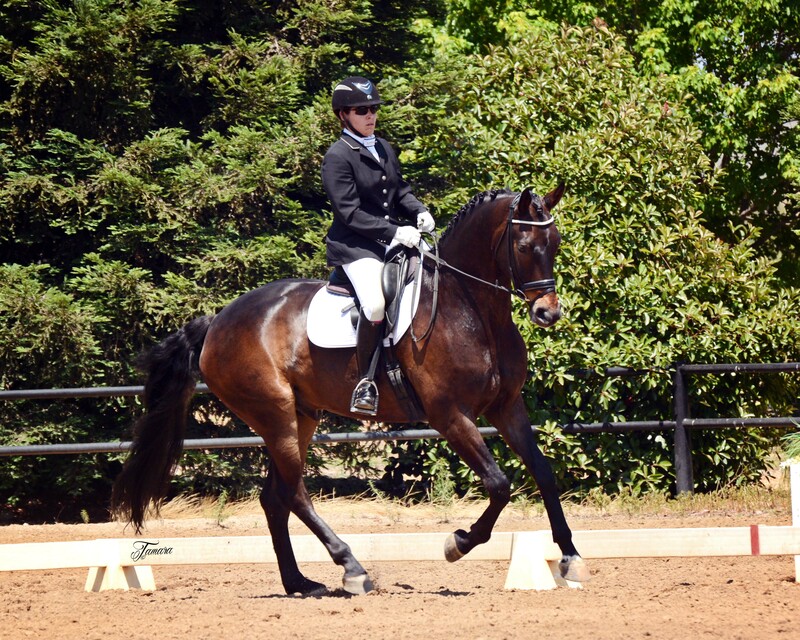 Though she has run the gamut of equestrian disciplines, her favorite is dressage. She was recently able to complete her USDF bronze and silver medals and is currently working on her gold. Generally speaking her life is largely ruled by Woody, a 14.2 hand beastly quarter horse, Willie, a now 7-year-old Dutch gelding, and Stormy, her friend’s nearly all white paint gelding with a penchant for finding every mud hole and pee spot in existence. Visit her website at www.theideaoforder.com. At least, until now: now the collective interwebz mafia has set upon her in rabid fashion. True, her rides were utterly abysmal. I also can’t say that I saw much in the way of tact or empathy towards her saint of a horse, Vorst D. And truly for me, that’s the worst part. But as much as I agree that those rides were regrettable at best, I can’t quite stomach some of the over-the-top vitriol aimed at a women that I am sure the majority of you don’t know a thing about. We have no context. Does she have a physical issue? Terminal illness? What are the circumstances of those rides? While she may indeed just be an extremely wealthy Dressage Queen who can afford a top horse to get her to the Grand Prix, most of you don’t know. And that’s where my problem lies — we are so quick to jump in and flame someone even when we have no details and without taking the time to use any sort of critical thinking or problem solving skills. I have seen people post some truly awful things about this adult amateur (AA) rider. — things I likely wouldn’t wish on my worst enemy (and frankly I can be a major a-hole so that says a lot). And I think that’s pretty shady when you have no real context. It’s also not productive. To throw about the word abuse feels a bit heavy-handed too. The term itself has some pretty grey aspects. Consider what some radical animal rights activists would say about even riding a horse (hint: it’s all abuse unless you just feed them and let them be “free” as nature intended). Is the child bouncing around on her pony bonking him in the mouth while learning to post abuse? What about the older AA trying to learn to sit the trot with stiff hips? 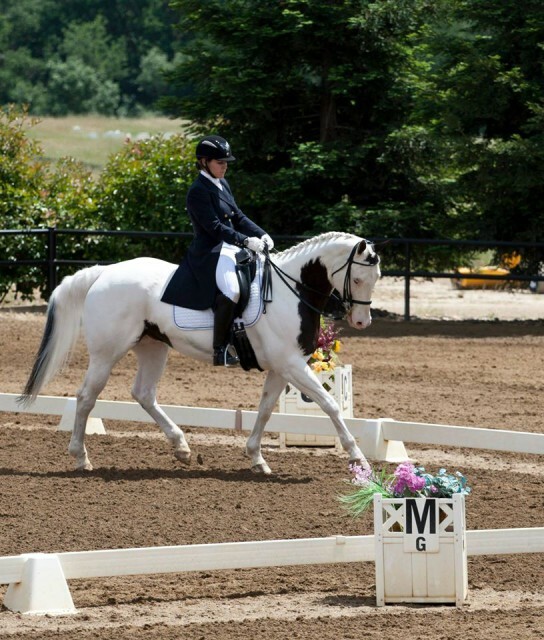 Should this AA rider just not ride because she isn’t supple? Or the AA in the hunter ring hanging on for dear life and bonking her horse after every fence? She may not ride that well but Dobbin has the best of care and love otherwise. Is she an abuser? 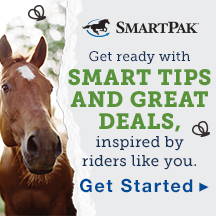 While I don’t think any type of lackluster riding is good, I do recognize it is often part of the learning spectrum. And the latter is largely why I am taking the risk writing this. Let me be clear: if she were my client I never would have allowed her in that ring and I likely would NOT have condoned the purchase of that horse for her. But while I do think Browning’s riding was subpar and tactless at best (and yes, abusive at its worst) because I do not know her or the situation, I have no way of knowing if she’s actually trying to learn the sport or is just a self-entitled jerk awkwardly wailing on her horse. And I bet most of you don’t either. Which means perhaps we should turn our focus and irritation on the factors that allowed her to get there rather than someone we don’t actually know. How can we fix this? If the case is that she is actually trying to learn, if she’s just not been taught, then we should be looking to educate and figure out how she was allowed to get that far with so little knowledge (and if she is just a jerk, then we should still be looking for ways to prevent that sort of behavior in the ring going forward). Given that such unskilled riding was allowed to get to that level, there’s clearly a rather glaring hole in our sport that needs to be addressed. On some level we, as professionals, need to be accountable. I know that’s not always easy – I have had my fair share of clients who have had unrealistic goals, timelines, and just enough capital to get themselves into trouble, but that doesn’t negate my responsibility to inform them and ultimately walk away if the situation warrants. As dressage riders and USDF and USEF members, we also have a responsibility of speaking up and helping shape these organizations (in an organized fashion, not via incoherent rantings on Facebook). My understanding is that every time the notion of requiring qualifying scores before moving up is brought to the table, the majority has shouted it down. Why? Is there a way we could make this work? I know some fear that those with more average-moving horses would have trouble qualifying, but I would have to say I don’t see that as the case. If the questionably-bred little APHA horse I have can get up to a 63% in I-1, I think we could reasonably ask most horses to hit the 60% mark, and if not that, then what? Maybe it should be different for AA riders. Perhaps we could even come up with a rider competency test that does not take the horse’s gaits into consideration that could be taken before moving up. There are solutions if we look for them. Ultimately, what this entire frenzy shows is that we need a productive discussion on how to make blatantly unskilled riding a nonissue. I can promise you that torching some AA rider from behind your computer screen will not. Or torching the judges for that matter (judging is a whole other issue we need to tackle…). I’m fairly certain judges cannot, at present, eliminate for poor riding. And if they eliminate for abuse, they darn well better be able to prove it, which can be tricky. So perhaps we need a rule that allows them to ring out based on subpar riding? Again, let’s discuss. Unfortunately, this rider is not the only rider out there in way over her head (I bet all of you can think of people you know or show with); she is just the most recent to be caught on film and blasted across the internet. Even if she’s made to feel awful enough that she leaves the sport (and is that what we really want if she is just uneducated but receptive to learning? ), that doesn’t fix the others who are doing the same thing. A constructive dialogue is needed. I’d like to see more brainstorming on how to fix this issue and less useless internet hatred. It isn’t helping anyone, least of all the horses. The Solo Swerve bridle, as modeled by a horse groomed far better than mine right now. Photo (c) Solo Equine. I’ve probably made it pretty clear that I am a tack addict; I absolutely love the smell and feel of quality leather and (almost) all things that glitter. Unfortunately for me, I am not independently wealthy, which means I tend to be a ferocious bargain hunter (yes, I do get some sick pleasure out of a good deal, much to The Husband’s dismay as my definition of “good deal” and his aren’t always aligned). Enter the Solo Swerve bridle. I was hunting around online for a new bridle for a client horse and I stumbled upon the Solo Equine website. 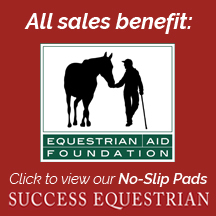 Solo Equine is a Canadian company run by Stephen Forbes, an actual dressage trainer (bonus when someone making a product also uses said product)! The bridles all looked lovely and well made, so I thought I pretty much had to give them a try. Although all the bridles looked super, the Swerve offers an anatomical crown that I was interested in trying (although I did lust after the Solo Splendor). It also gave me a nice chance to compare it to the PS of Sweden bridle that I have with a similar crown. 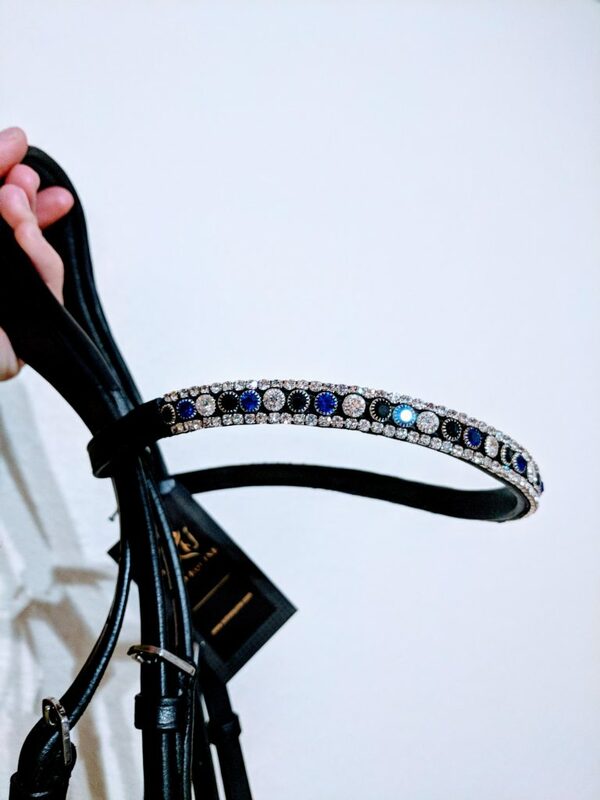 When the bridle arrived (quite quickly I might add), my initial impression was that I’d found some sort of Unicorn bridle – the leather was ridiculously nice for the price point and the bling pretty much blinding. I can honestly say that the quality of the leather and craftsmanship on the Solo bridle is on par with the PS of Sweden double that I have. It may even be possible to say that it is of higher quality given that the pad on the crank of my PS of Sweden bridle broke after less than a month of use (and no, I do not strap my horse’s lips together). Me drooling over the Swerve the evening it came and it was unfortunately too dark to go try it. Look at the bling! The Swerve bridle is nicely padded at the poll, and well cut back away from the horse’s ears. The noseband itself is also quite soft, with good padding. The hardware used is nicely sized and well made, giving the bridle a really polished look (unlike some of those FSS bridles you see on eBay that come in fun colors and designs, but have large, gaudy buckles made of questionable metal). The anatomical crown helps distribute pressure over the poll and away from the backs of the ears. The noseband is nicely padded and soft. The bling browband was also well made, with a finished backing and crystals that seem very secure. I have had a few bling browbands that had felt, or even twine, along the backside which while not particularly noticeable while riding, does seem somewhat flimsy. The Swerve browband seems to be solidly made, and it is undoubtedly sparkly (and who doesn’t love glitter?). Certainly my initial impression was positive, but what’s likely more significant is that my opinion hasn’t changed after the last month or so using the bridle on at least three different horses, almost daily. While a month isn’t a long time, swapping a bridle around on multiple horses for a month will put some wear on it. I’m happy to report that the bridle continues to clean up well, the leather breaking in nicely and the browband remaining just as sparkly. The patent leather is also holding up well, which I know from past experience can be a bit of an issue given the bit can rub against it. Overall, I am very happy with the Solo Swerve and impressed by the quality, especially for the price point; you won’t find a nice, more fashionable bridle for the money. If you’re looking for a well made bridle that’s functional, elegant, and won’t make your bank account weep, you should check out Solo Equine’s line! You can see Solo Equine’s full range of products here on their website (they just introduced a double bridle too! ), as well as connect with them on Facebook to see more product pictures and receive sale and contest notices. Go Riding! Look fabulous while doing it. Disclaimer: game includes some adult themes. 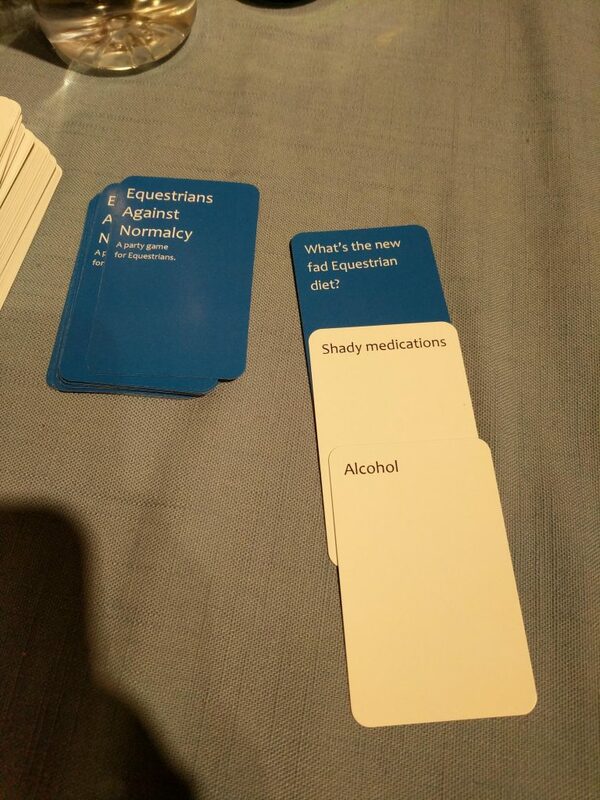 So you may have heard of Apples to Apples, and if you’re of the darker, more warped variety of individual, you’ve likely heard of Cards Against Humanity (now THERE’s a game where lives are changed). Equestrians Against Normalcy is the hay encrusted, barn car driving, doesn’t know where the mall is but can navigate to every tack shop and show facility with in 500 square miles, cousin of theirs. Seriously. It’s that awesome. If you’re unfamiliar with how these games are played, check out our earlier post here that goes into more detail (and some background on the game’s inspiration). The basic idea is that it’s a group game where the active player draws a card from the blue deck that has a phrase or question to be answered or completed by a card from the white deck. 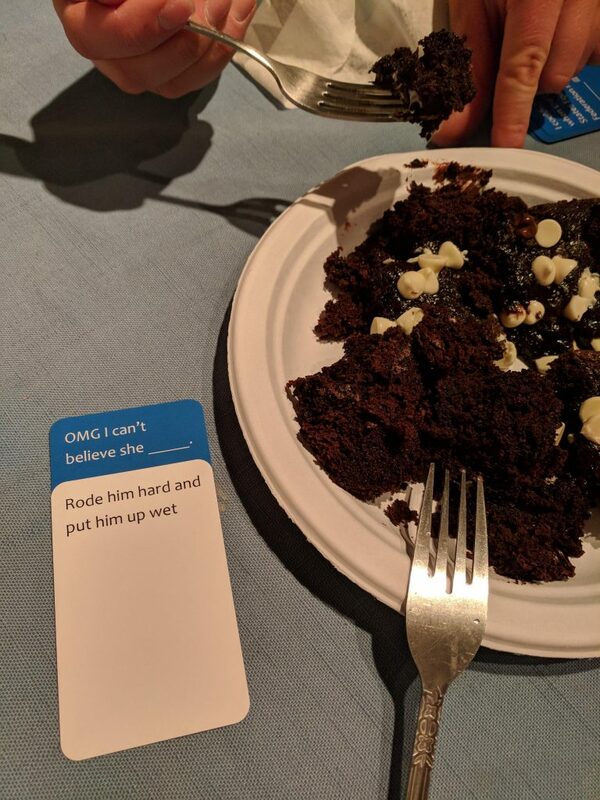 All players have a hand full of the white, ‘thing,’ cards and they each try to play a card that they feel best answers or completes the drawn blue card. 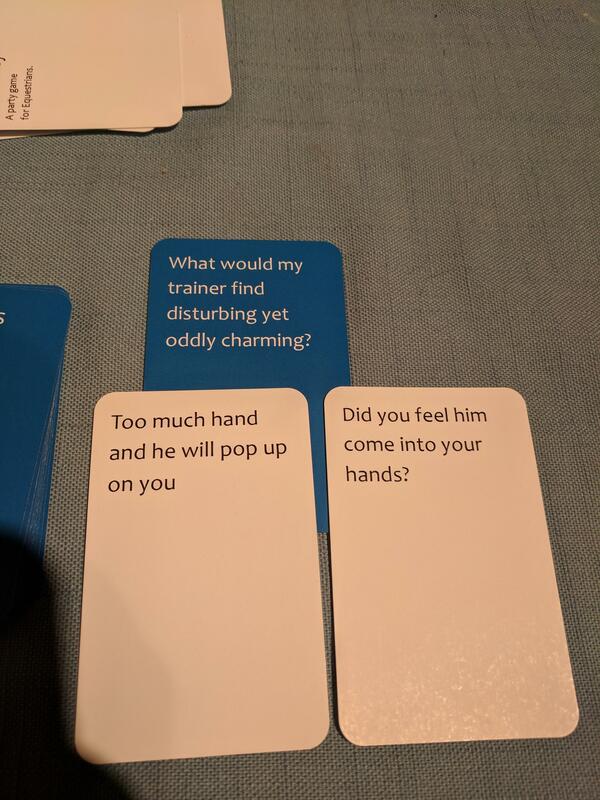 The active player then decides which card they feel is best. While the general consensus seems to be that the goal is to play the card that will garner the most humorous completion, really the goal should be to play the card that you think the active player will find most fitting, as they get to determine the winner of the round. The winner each round keeps the blue card from that round. The game continues in this fashion until all the blue cards have been completed (or everyone is laughing to hard to finish), the winner being the person who has amassed the most blue cards. 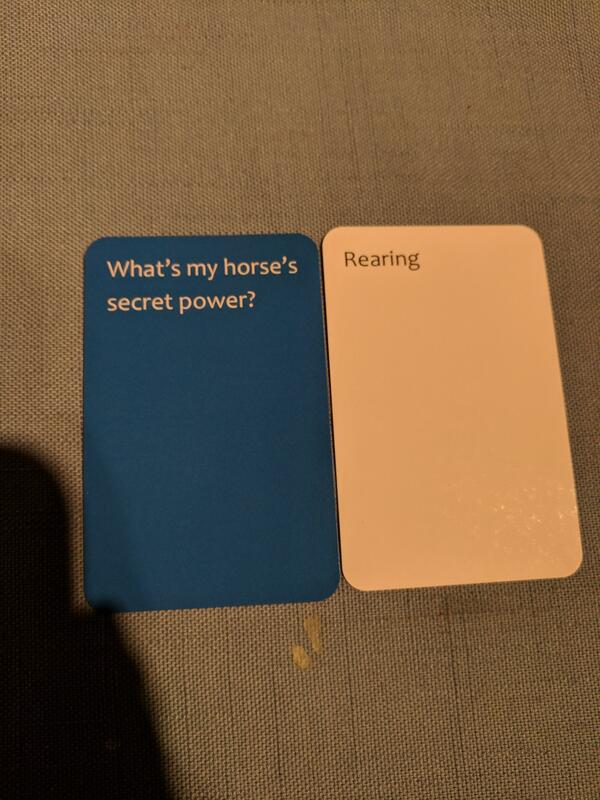 Being the warped individual I am, I thoroughly enjoy Cards Against Humanity (I am also upsettingly good at it, which probably says something I’d rather not discuss) and as someone thoroughly entrenched in the equestrian world, I could not pass up the chance to meet this cousin. I managed to round up a couple of my horse crazy brethren, some pizza, and adult beverages, and we went to work. I’m not sure anything I could say would be as telling as the images below. Aren’t these often one in the same? 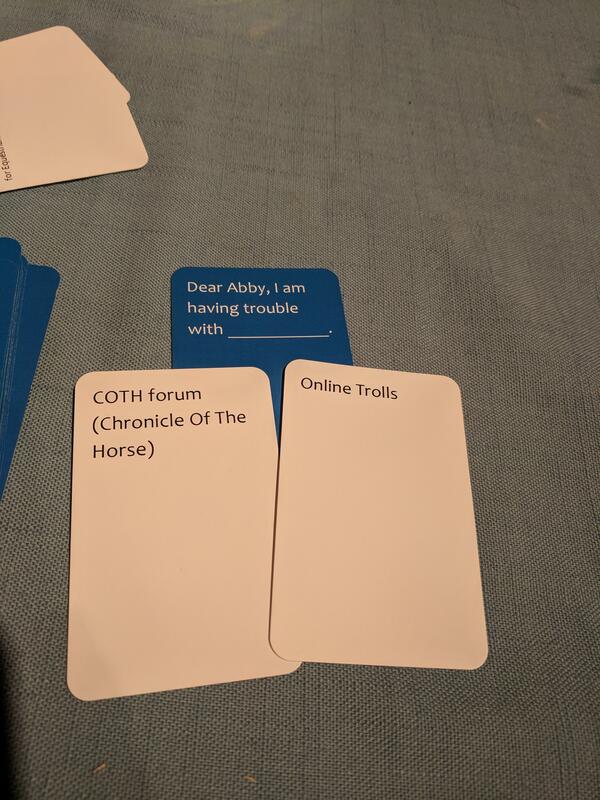 Seriously though, being a COTHer I cannot tell you how thrilled I was that they got COTH in there. Photo (c) Morgane S. Gabriel. Many of the earlier rounds were mostly PG. 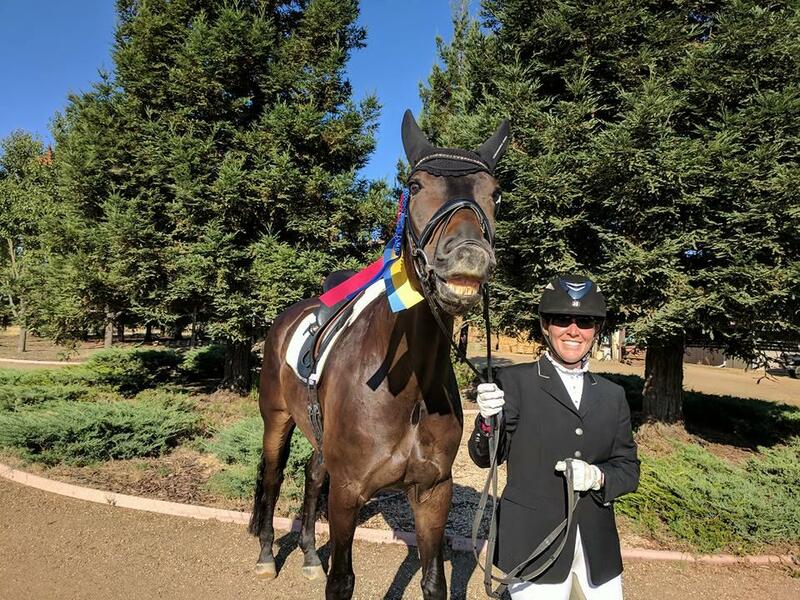 As the evening wore on and the wine bottle wore down, things got a little less like The Saddle Club and a bit more like the Real Dressage Divas of the OC (No, that is not an actual series, but perhaps it should be). Yeah, I’m not sure why this is funny either. Seems legit. After going through the deck three times, we unanimously decided that the only downside to this game was that we just had the starter deck. Seriously, it was that much fun. 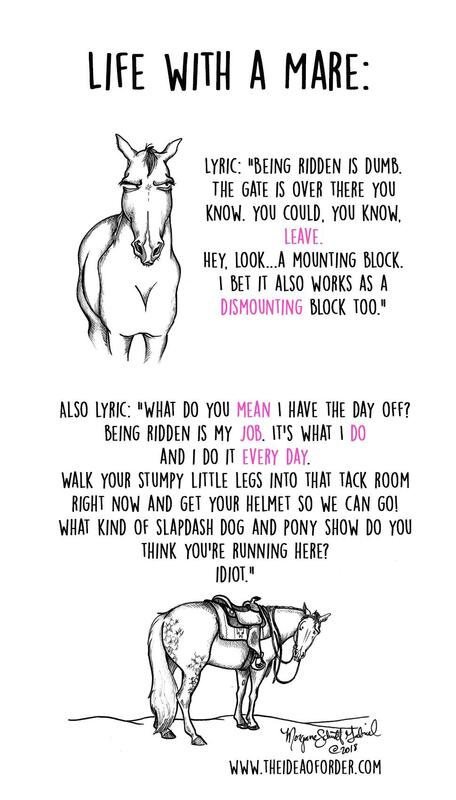 I will be taking this on the road this next show season and I am pretty sure that this belongs in every equestrian’s stocking for the holidays. There are additional decks and I would recommend getting at least one of them to further extend game time. You still have 11 days to snag this gem of a game up for the crazy horse people in your life! 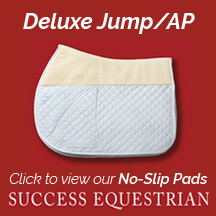 Check out the official Equestrians Against Normalcy website for more information and ordering. You can also visit their Facebook Page, where they’re doing some giveaways! Go Riding! 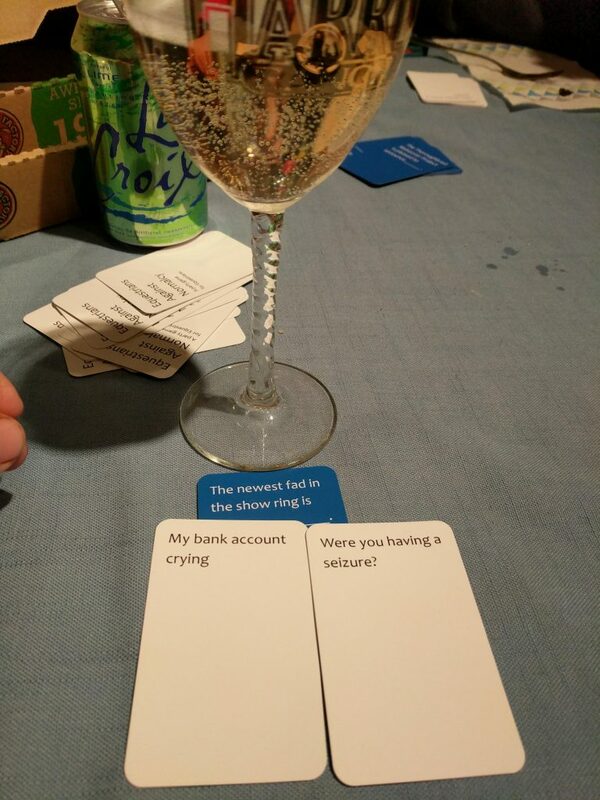 Then play adult themed card games with wine and chocolate. 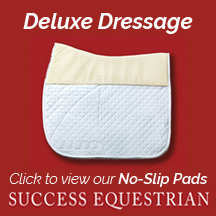 The NEW Shoulder Relief Girth Cover — Dressage. 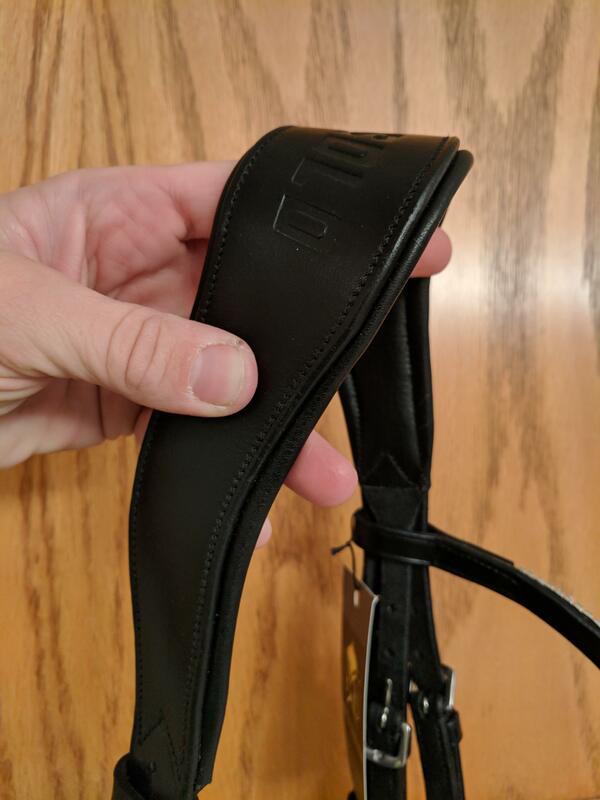 So you may remember my original review of the Total Saddle Fit Shoulder Relief Girth; I thought it was super effective and certainly a potential game changer for many horses (if you missed the original review, or just want to refresh your memory, you can read it HERE). 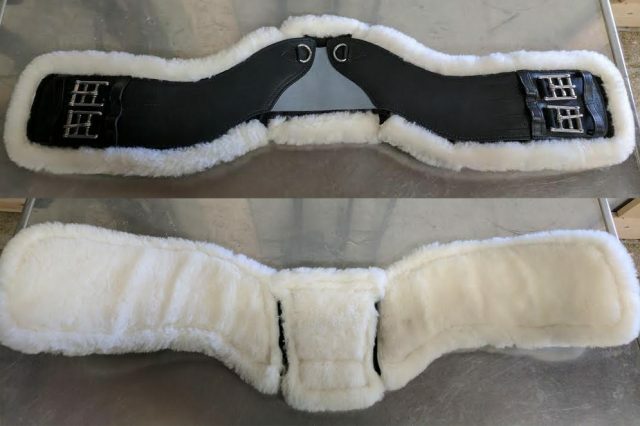 Well Total Saddle Fit has gone ahead and updated their original girth AND created a sheepskin cover that’s pretty awesome. Just like with the original girth, I tried this one on multiple horses. And also like the first, the intelligent design allowed for full range of motion for the shoulders and clearance for the elbows, both of which kept each horse comfortable and moving beautifully. From a functional standpoint then, their updated girth was just as effective. The difference I noticed was in the overall quality; it’s really pretty lovely. 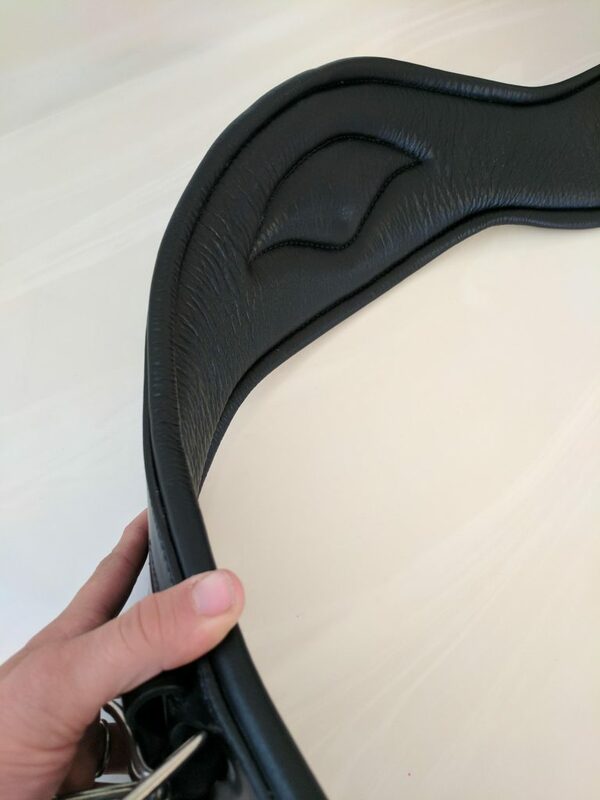 While the original girth was quite functional, and relatively durable, their updated model is quite a bit more padded, and the leather much softer. The buckles, made of stainless steel, feel quite sturdy and roll smoothly. 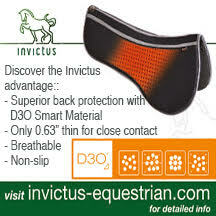 I would compare the quality as being similar to the Prestige anatomical girth that a few of my clients use. I was actually pretty impressed. What I was even more impressed with is their fleece cover! I have many fleece products and have had multiple girth covers, none have been as well designed with regard to fit and quality. 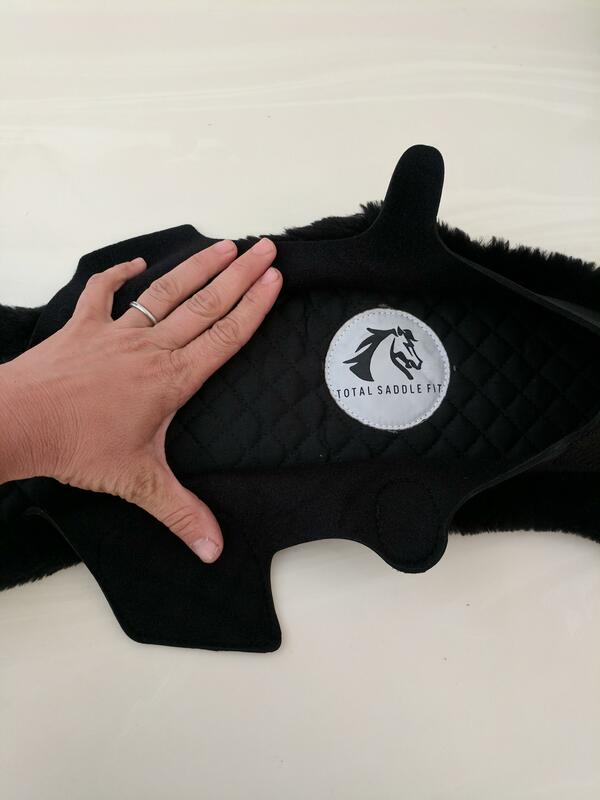 The actual cover is made partially of a neoprene-like substance that fits the girth seamlessly, but does not come in contact with the horse. Because the cover fits so nicely, the fleece stays perfectly aligned with no bunching or sliding. Although the fleece itself doesn’t look particularly impressive in my pictures, I can attest to the fact that it is ridiculously soft and wears and washes quite well; it legitimately survived my ridiculous habit of going multiple months without washing my pads and still came out looking brand new and feeling soft. Ultimately I would say this update really pushes these girths up into the next category in quality. The anatomical aspect makes it a highly functional, but the added padding from the updated leather and the plush fleece makes it somewhat sumptuous. 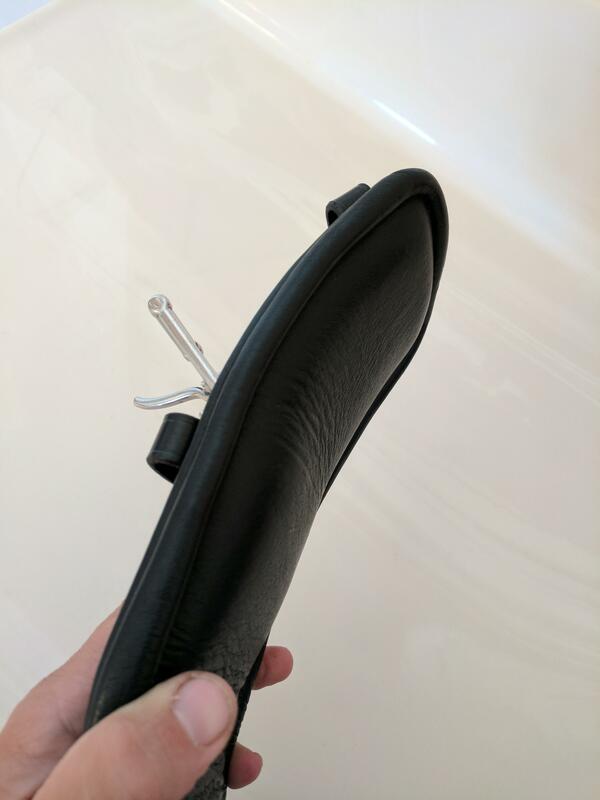 If you didn’t consider these girths before because you were looking for something a bit higher-end, you may want to check out this new version. What do you have to lose with their 110%, 30-day money back guarantee? 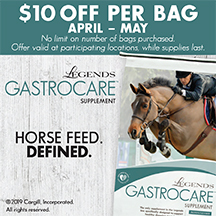 For more information on the girth, how it works, the cover, where to purchase either, and their money back guarantee, visit their webpage HERE. You should also check them out on Facebook! Go Riding! With a bit more freedom, elbow room, and fluffiness! You may remember that this past spring I took over the Horse Nation Twitter account to harass you all from the World Cup in Omaha. In addition to watching fabulous horses and riders I also got the chance for some equally exciting shopping (because really, who doesn’t need another pair of breeches or that 14th bridle for their one horse?). Even though there were quite a few vendors and some really fun new products being showcased, after the third day of standing around on concrete and sitting on metal bleachers my back was giving me the major NOPE. As we were wandering around the shopping area trying to decide where to go get lunch, and hopefully sit down somewhere that wasn’t just an abomination, I noticed the TheraPlate booth. My sister in Florida has a TheraPlate and had some pretty positive things to say, so I thought I’d wander over and take a look. The representative had the plate on so of course, “if it fits I sits;” the entire crew hopped on the plate and proceeded to stand there for the next 20 minutes listening to the rep describe the science and benefits of the plate. While everything she had to say sounded great, none of us really came with the intent to make a substantial purchase so we thanked her for her time and finally began the trek to lunch. On our walk to the restaurant I noticed, almost as an afterthought, that my back no longer hurt. Like at all. I was pretty impressed. I was even more impressed when it didn’t hurt the next day either. Impressed enough that I went back and asked to do their free 30-day trial because if it helped me, surely my spoiled rotten horses would like it (and we all know they want for nothing). After seeing positive results over those 30 days, I asked if TheraPlate would allow me to extend the trial to 90 days in order to write this review. As you can see, they generously agreed. To begin, let’s talk about what the TheraPlate actually does and then my test subjects. The TheraPlate essentially uses vibration therapy which is thought to cause your muscles to contract and relax as well as stimulate the production of the cells that produce bone (osteoblasts). Vibration therapy also increases overall circulation, the combination of which is thought to increase healing and help prevent injury. In human studies vibration therapy has also been credited with a reduction in stress and improved lymphatic flow (thanks so much, WebMD). According to the TheraPlate website, the plate can help prevent injury (with consistent use), counter chronic inflammation, speed healing (cuts in half), reduce tension, and reduce major causes of most pain. Sounds pretty *majikal,* huh? Now you see why I had to give it a go. On to my guinea pigs. If you read any of my stuff you are probably familiar with The Beastlet and The Paintlet (Stormy). Here are their basic stats to give you an idea of what they are and what I was hoping to address. Issues: Nothing overly apparent. Some mild deficits in his left hind mean he at times gets out of alignment in his hips and SI from not carrying as evenly as he should. 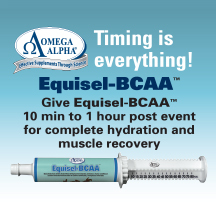 My biggest goal for him was to see if the TheraPlate could help him recover more quickly from higher intensity workouts and hopefully help avoid muscle soreness. Issues: Stormy is tight both mentally and physically. He can be incredibly tight in his hind end as well as his neck. It often takes him a significant amount of time to warm-up into a ride. 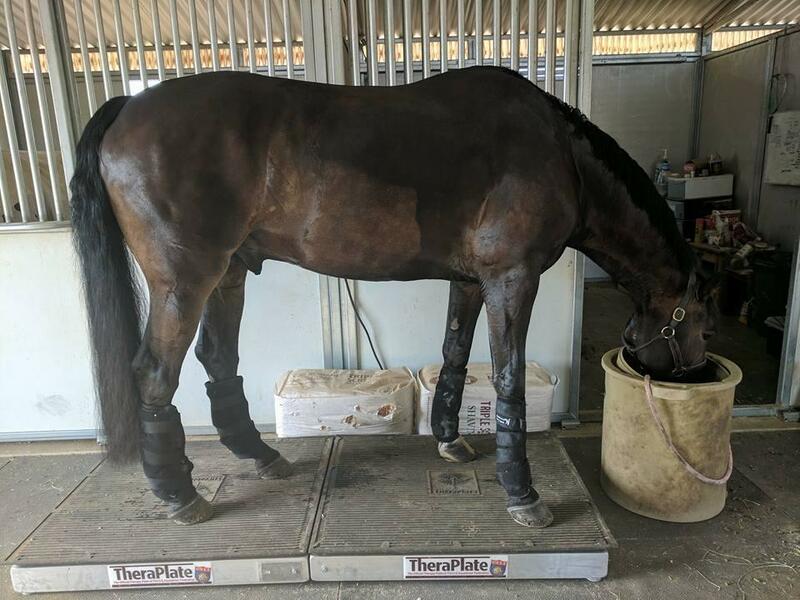 In addition to hoping the TheraPlate would help him recover more quickly from higher intensity workouts, I was also hoping that the plate might help him relax more and reduce warm-up time. 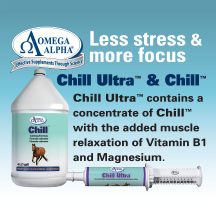 During the first month, I took about a week and introduced both horses to the TheraPlate. Since I don’t have stocks or even a great place to cross tie, I basically used shavings bales to make little walls and put a slow feeder in front of them to distract them from the odd, wall-less trailer floor I asked them to step up on. Success. Aside from the initial hairy eyeball before the offering of food was discovered, neither horse had any issues standing on the TheraPlate. Now you might be wondering what this thing sounds like. It’s less obnoxious than you’d think. When it’s set at the lower speeds it basically just hums along. When set at the maximum it is a bit louder and somewhat noticeable, but nothing major. The only time it makes a god awful racket is if you have it unbalanced! No one appreciates that. There are little feet on the bottom that raise and lower each corner, so if it’s too noisy the odds are that it isn’t sitting level and therefor it’s buzzing against the ground at some weird frequency. Even when it was unbalanced, my horses weren’t particularly offended (shocking). Since neither of my guys were scared of the noise or standing on the plate, I had zero issues there. I would note that it is tricky to make time to use the TheraPlate if you don’t set it up in an area that facilitates it fitting into your current routine. 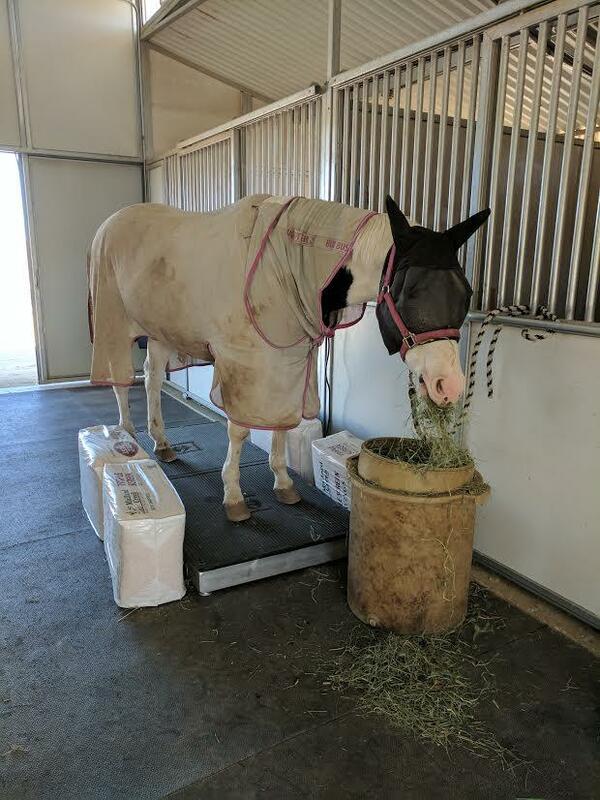 For example, if you put it in a tack stall where a horse can be safely tied, or in stocks, it’s much easier to plop them on it while you do other things than if you put it somewhere where you have to stand and hold them the entire treatment time. This is something to be considered. One of the nifty things about the TheraPlate is that you can download an app that helps you tailor your use of the TheraPlate to address whatever issues a specific horse might have (and let me say, there’s a pretty extensive list of issues to choose from). I found this particularly helpful since I’m not a therapist and generally have no idea what I’m doing with vibration therapy and different modalities. 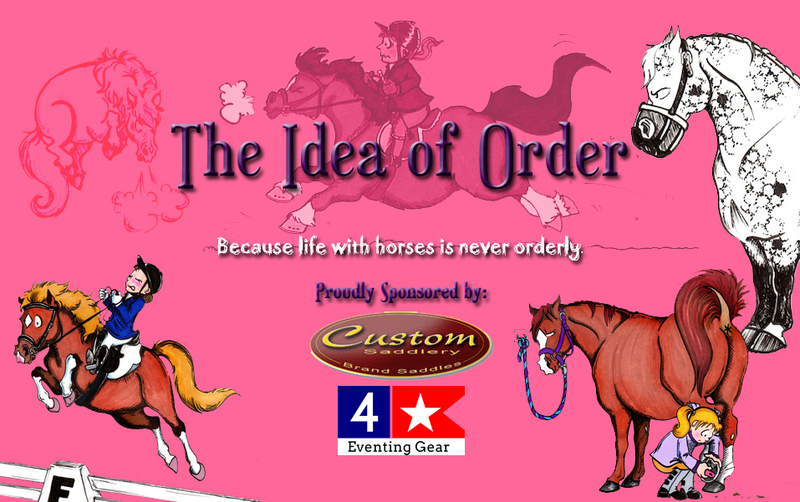 Because I was addressing different issues with each horse, I chose different protocols for each. For The Beastlet, I largely used the protocol listed for overall muscle soreness which is in the chart below. 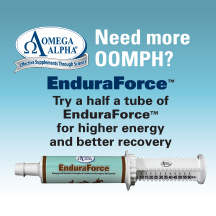 For The Paintlet, I tried both the protocol for hoof soreness and the one for arthritis. Those are listed in the below charts. I started The Beastlet off with the protocol for general muscle soreness as my goal was to hopefully help him train more efficiently. Initially I only used the plate post workout while I iced him. It took about a week for me to notice anything, but at the point it became fairly clear that he was less fatigued during his midweek rides, was starting off more forward than before, and he appeared to have less excess fluid buildup in his lower legs (he’s always seemed to have more “filled” legs than most horses). After the second week he would walk into the barn after being hosed and quite obviously drag me to the plate and climb on. After the second month of continuous use (though still only once a day due to time), I noticed that he was carrying more evenly behind and my body worker and chiropractor noted his hips were remaining even. He was also feeling more over the back and engaged from behind during our rides. During the third month, I increased the use of the TheraPlate to include some pre-training sessions as well as the post. During the rides that started with the TheraPlate, The Beastlet came out and felt ready to go more quickly than the rides without. Ultimately, I can safely say that The Beastlet is a fan of the TheraPlate and I do believe that it allowed us to take our game to the next level. Not only did he feel better in his body while using it, he also felt much more relaxed mentally. He was ready to work each day and I experienced a significant reduction in the number of balky or nappy days. I attribute the latter to the fact that the TheraPlate helped reduce any muscle soreness that could have been building from the upper level work. Given that, I do believe that the TheraPlate did allow me to get a bit more out of our training time without allowing The Beastlet to get sore or sour to the process. Stormy is often my special child. He just tries his heart out so much that he can work himself up into a knot in the process. For him, because he’s a bit older and naturally tighter, I decided to rotate through both the arthritis and hoof soreness protocols. With him I started with his treatments pre-ride. Where it took a week to notice much with The Beastlet, it took only one treatment to notice a significant difference for Stormy. He was instantly much softer and more supple in his body. Not shockingly, this meant that he warmed up much more quickly than usual. For the first two weeks, that was the main difference I noticed. Around the start of the second month I noticed that Stormy seemed quite a bit more relaxed than previously. He wasn’t grinding his teeth when we did more difficult work nor was he as tense when asked to push more from behind into the contact. He was also moving quite a bit more freely. During the third month, I added in a few more treatment sessions as time allowed. I noticed that after doing that, even on the days when I would ride without first using the TheraPlate he would start more fluid and soft than previously. That leads me to believe that he was largely feeling better overall from using the plate and that the effects were lasting longer than I’d anticipated. 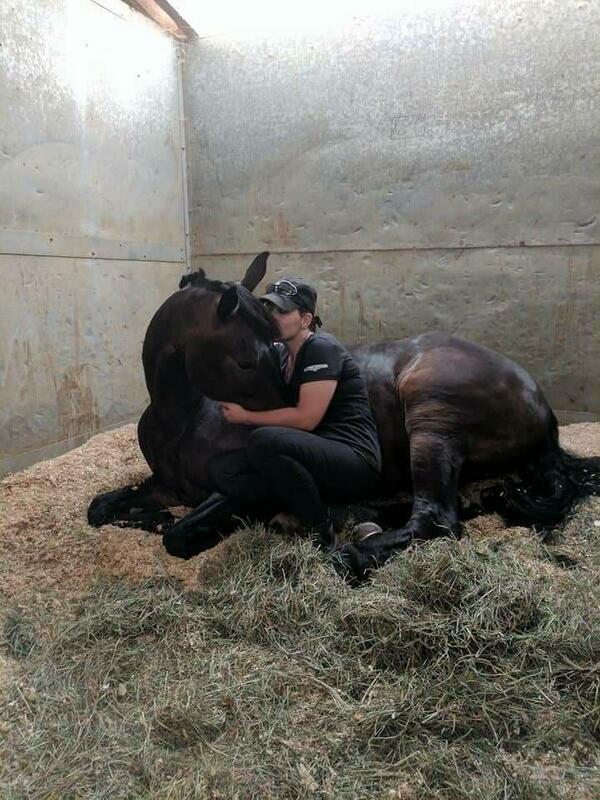 The TheraPlate helped Stormy relax both physically and mentally which allowed him to better do his job and perform at a higher level; he even made it back into the I-1 ring this summer! Being the type of horse who would literally die for his rider, Stormy is also the sort who would get more stressed and internalize it all. With the TheraPlate, this was largely avoided as it helped him remain relaxed and feeling comfortable. After a summer of using the TheraPlate I can honestly say that I do think that it makes a difference. For my guys, it not only helped keep them feeling relaxed, but in doing so also allowed them to make bigger gains from their training due to what I would assume to be less soreness and fatigue (and so far, knock on wood, no injuries). We ask a great deal of these guys; I think it’s pretty important that we do what we can to help keep them happy and confident in their work. My experiences with the TheraPlate lead me to believe that it does just that. For more information on the TheraPlate, the science behind it and additional studies, as well as pricing options check out their website HERE. You can also check out their Facebook page for additional updates and information. Morgane Schmidt Gabriel is a 34-year-old teacher/artist/dressage trainer/show announcer/ who still hasn’t quite decided what she wants to be when she grows up. A native Floridian, she now lives in Reno, NV, where she’s been able to confirm her suspicion that snow is utterly worthless. 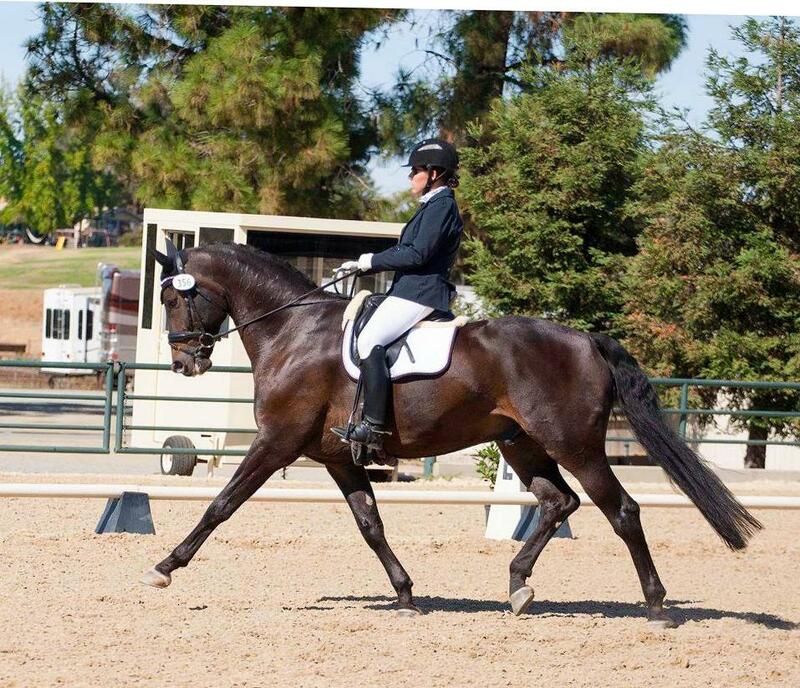 Though she has run the gamut of equestrian disciplines, her favorite is dressage. She was recently able to complete her USDF bronze and silver medals and is currently working on her gold. Generally speaking her life is largely ruled by Woody, a 14.2 hand beastly quarter horse, Willie, a now 7-year-old Dutch gelding, and Stormy, her friend’s nearly all white paint gelding with a penchant for finding every mud hole and pee spot in existence. 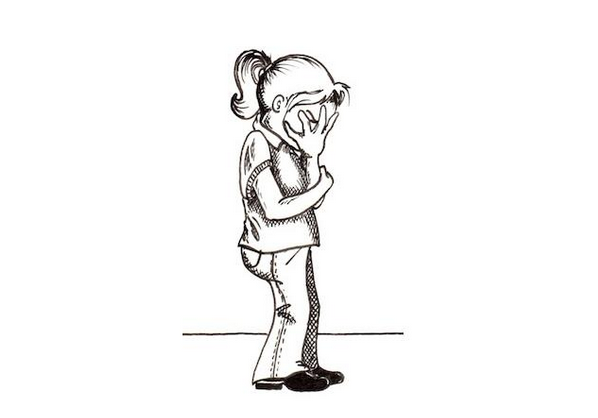 Visit her website at www.theideaoforder.com. Best of HN: The Idea of Order – What’s In YOUR Purse? I think we have all been there. You know, when you’re fishing around for something in your purse or pocket and suddenly realize you’re about to expose just how deep the depths of your equine depravity are. I mean honestly, how many “normal” people do you know who have multiple pairs of pants with pockets crusted shut from dryer-melted cookie/sugar goo? I’ll give you a hint, none. No one else does that. It’s OK though, we all have each other. Morgane Schmidt Gabriel is a 33-year-old teacher/artist/dressage trainer/show announcer/ who still hasn’t quite decided what she wants to be when she grows up. A native Floridian, she now lives in Reno, NV, where she’s been able to confirm her suspicion that snow is utterly worthless. Though she has run the gamut of equestrian disciplines, her favorite is dressage. She was recently able to complete her USDF bronze and silver medals and is currently working on her gold. Generally speaking her life is largely ruled by Woody, a 14.2 hand beastly quarter horse, Willie, a now beastly 7-year-old Dutch gelding, and Stormy, her friend’s nearly all white paint gelding with a penchant for finding every mud hole and pee spot in existence. Visit her website at www.theideaoforder.com. 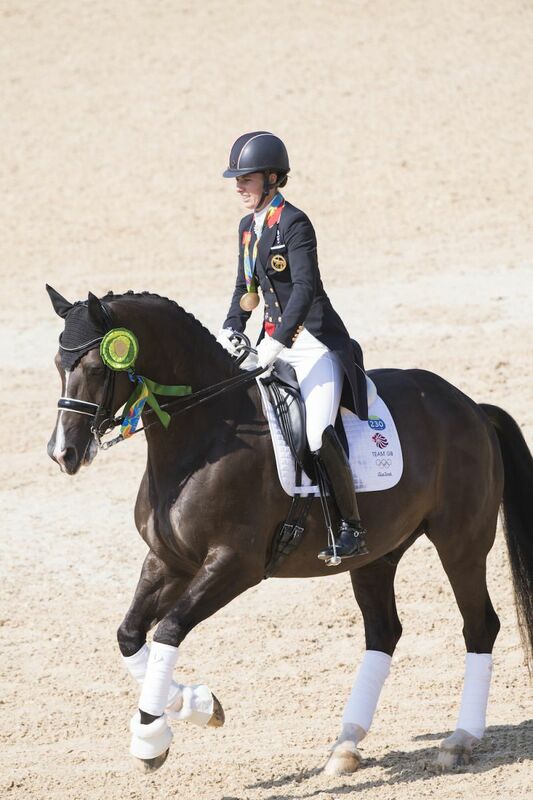 Olympic Happy Hour: Charlotte Dujardin and Valegro Take Gold Again! With a bottle of wine, a sparkly browband and five gallons of Starbucks, Horse Nation lured its resident rogue dressage queen Morgane Schmidt Gabriel into giving us her take on Olympics dressage, one day at a time. Here are her observations from the Grand Prix Freestyle! In case you missed them, you can catch up on Morgane’s unfiltered Olympic observations: Grand Prix Day 1, Grand Prix Day 2 and Grand Prix Special. Charlotte Dujardin and Valegro (GBR). Photo by Richard Juillart/FEI. So this morning I watched the Grand Prix Freestyles. Aside from The Husband in the background making comments about me watching all those ‘DreSedge Prix*’ all week it was quite a nice way to start my day (even if all I had was coffee and no wine). The results were pretty predictable — Valegro takes gold and Germany sweeps the rest with the U.S. just outside the medals. For the complete and official results, check out the Live FEI site (which even has cool details and individual movement scores listed). Although she isn’t riding for the U.S., I feel like I should start by mentioning that today Isabell Werth became the most decorated rider in Olympic history earning her 10th Olympic medal (and surpassing all those now lesser-knowns like Anky van Grunsven — or as NBC has referred to her, “Andy van Grunsven” — and Reiner Klimke)! Mad props to her! She and Weihegold OLD put in a beautiful test with superbly chosen music earning an 89.071%. 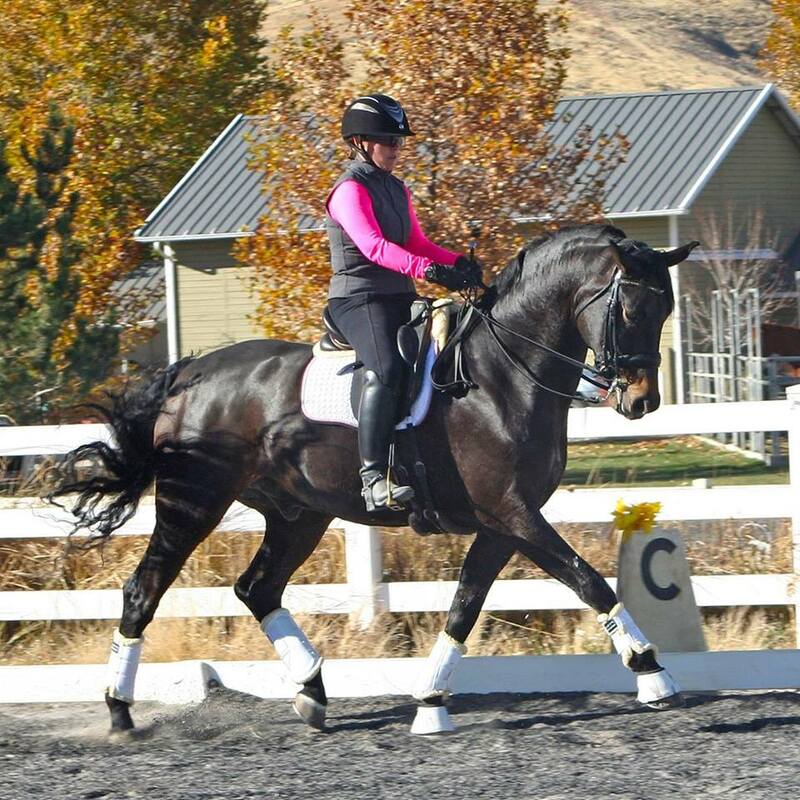 Some highlights include her stellar canter pirouettes that were active, expressive, and on the spot as well as her tempi changes that were through, up in the front, and straight. 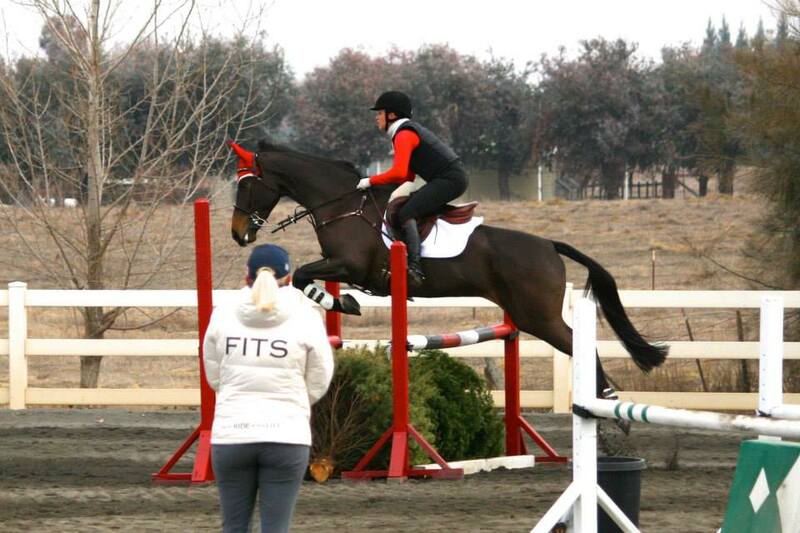 Werth rode beautifully and really demonstrated both her extreme riding skill and ring prowess. On to the seemingly more popular news, Valegro and Charlotte Dujardin won the Kur — and gold– with an outstanding 93.857%. While I often think this pair are allowed some wiggle room for mistakes simply because they’ve earned the name recognition, I have to say that they did a beautiful job. I absolutely love Valegro and their ability as a team to convey a feeling of serene power in all their work. The music and choreography were perfect for Valegro’s gaits and persona, earning the pair a #1 for artistic rank and an artistic score ranging from 97-99. Certainly the latter is highly subjective and very susceptible to the favoritism I alluded to earlier, but in this case I do agree with the judges. It’s rumored that Valegro is due to be retired soon, and if that is indeed the case what a stellar way to end his career. 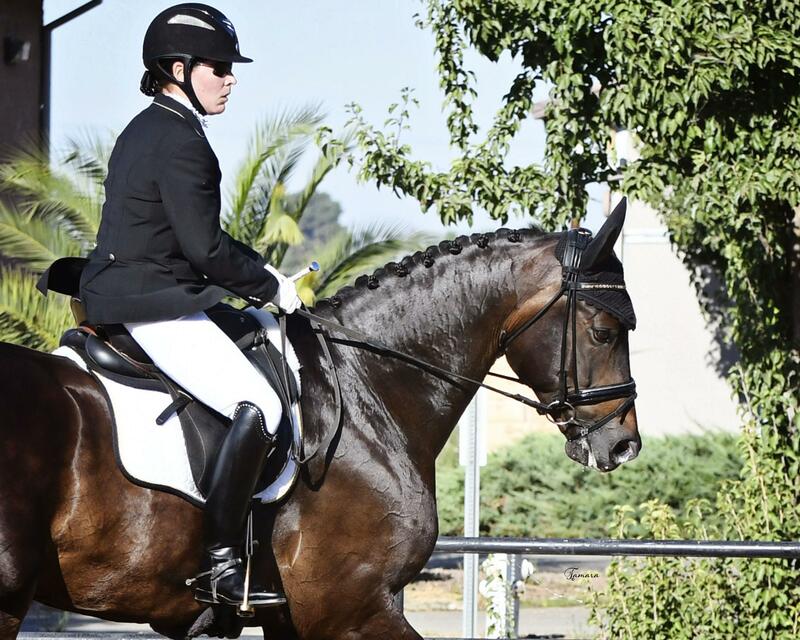 For Team USA, Steffen Peters, Allison Brock, and Laura Graves competed in the kur. Allison Brock and Rosevelt put in a good test, earning a 76.160%. Steffen and Legolas 92 had a fun test earning them a 79.393%. The ride was clean and quite a bit more harmonious than the pair’s last two rides at the games. Legolas’ piaffe and passage work was quite good and he had a lovely, seamless transition from his canter pirouette to piaffe and then to walk. Our last rider, Laura Graves, and her Verdades put in a very strong test, earning an impressive 85.196%. For such a relatively new team in the international dressage scene, these two really delivered. Like Valegro, Verdades is another horse with quite a bit of strength and presence (as opposed to some of the “lighter,” perhaps more elegant horses like Showtime FRH) and Laura did an excellent job keeping it both powerful and harmonious. Her music and choreography were excellent, as was the degree of difficulty. Their lowest scores were in their walk work, where they received mostly 7-7.5 and a couple scores of 6.5. Although not much can be done to improve a horse’s walk, I would imagine that as they continue to gain experience they will be able to maintain more relaxation in the walk work and perhaps bring that up a bit. Regardless though, I would predict that these two will be the next up and coming dressage sweethearts. Germany’s other two riders, Kristina Broring-Sprehe and Dorothee Schneider, also put in lovely rides. I don’t have anything particularly intelligent to say about them that won’t be super repetitive. I will note though, as I’m sure you all care, that I absolutely love Schneider’s mount, Showtime FRH. While I tend to be attracted to horses more similar in type to Verdades and Valegro — strong, substantial, powerful movers who seem somewhat more solid in their footfalls — I just love how elegant and elastic Showtime is. I do believe he has some Sandro Hit blood in him though which would mean he’s related to my own Beast which could cause me to be a little biased. 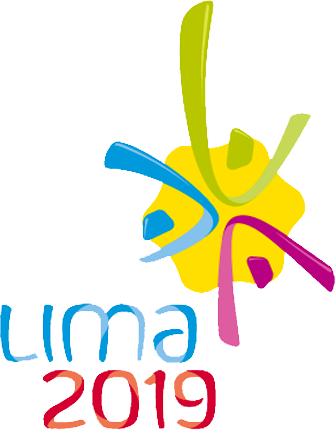 In any event, I guess that wraps up my dressage ramblings on Rio. Tune in in another four years to hear more mediocre commentary and insights. *Clearly pronounced ‘pricks’ for his amusement. Morgane Schmidt Gabriel is a 32-year-old teacher/artist/dressage trainer/show announcer/ who still hasn’t quite decided what she wants to be when she grows up. A native Floridian, she now lives in Reno, NV, where she’s been able to confirm her suspicion that snow is utterly worthless. 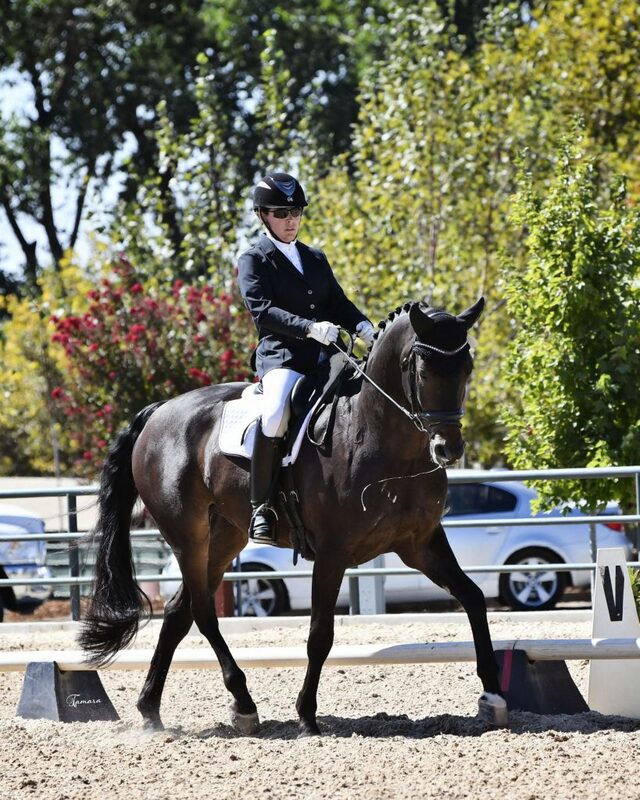 Though she has run the gamut of equestrian disciplines, her favorite is dressage. 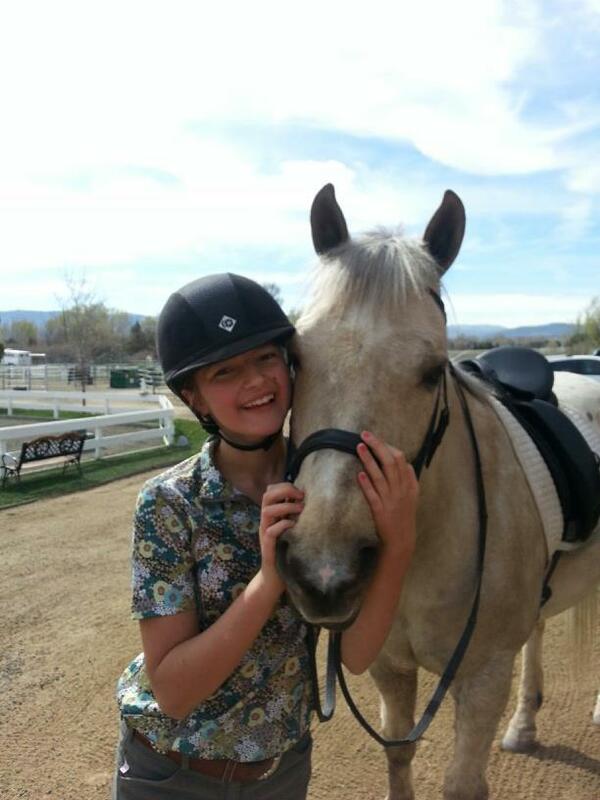 She was recently able to complete her USDF bronze and silver medals and is currently working on her gold. Generally speaking her life is largely ruled by Woody, a 14.2 hand beastly quarter horse, Willie, a now beastly 5-year-old Dutch gelding, and Stormy, her friend’s nearly all white paint gelding with a penchant for finding every mud hole and pee spot in existence. 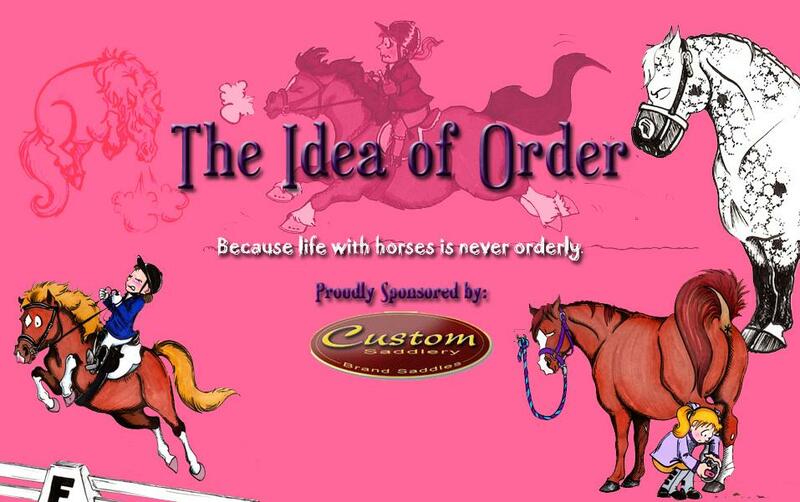 Visit her website at www.theideaoforder.com. Morgane Schmidt Gabriel takes a close look at a recent noseband stress study that’s all over the equestrian news to decide if there’s really a case to ban crank nosebands from use. Photo (c) Morgane Schmidt Gabriel. A new study published May 3rd from the University of Sydney appears to be eliciting quite a response from various media sources and animal welfare groups, though upon further investigation the findings don’t appear to be exactly novel, nor are the outraged cries regarding horse welfare entirely warranted. The study looks at the effects a crank noseband, used in conjunction with a double bridle, has on horses’ stress responses (specifically their oral behavior, eye temperature, and cardiac responses). In the study, 12 horses who had not previously worn a double bridle were randomly assigned to one of four treatments. Each involved wearing a double bridle but the tightness of the noseband varied for each treatment, with the loosest being unfastened and the tightest being with no space underneath the noseband. Over four consecutive days every horse rotated through the four treatments in a randomized order. This was continued for three weeks and the horses’ responses recorded and analyzed (Fenner et al, 2016). According to the numbers, the study revealed that when the horses were fitted with a double bridle sans space under the crank they demonstrated an increased heart rate, an increase in eye temperature, and a decreased heart rate variability (HVR) as compared to when they were fitted with a double bridle with half or more of the conventional space underneath it. Horses with the tightest nosebands also had reduced instances of yawning, licking, and swallowing while wearing the bridle with an increased frequency of such oral behaviors following the bridle’s removal. 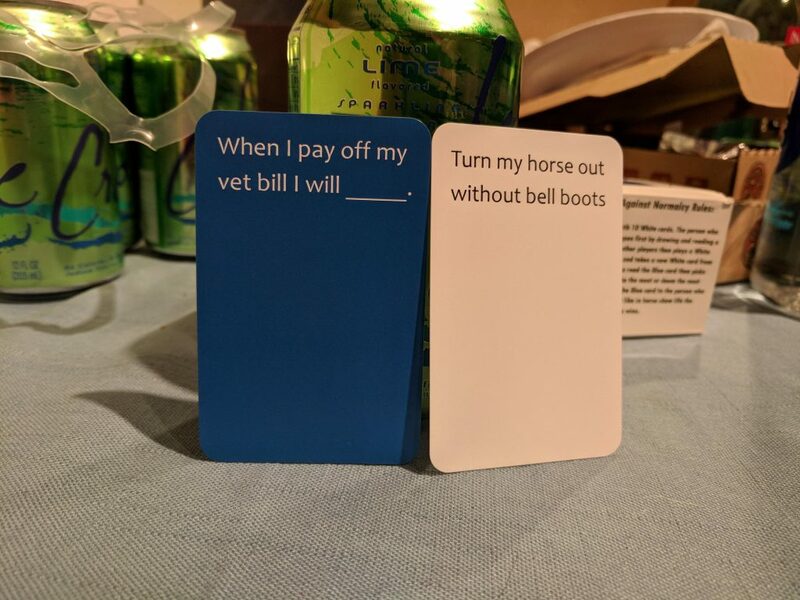 The authors speculate that the latter is indicative of a “post-inhibitory rebound response” which would imply that the horses were in a state of deprivation while wearing the bridle which could imply compromised welfare (Fenner et al, 2016). Essentially these results are being touted as definitive proof that an overly tight crank noseband on a double bridle can cause stress to the horse. In response to that, according to one article, 30 animal protection groups from across the globe are calling for more stringent testing of the nosebands at competitions and the RSPCA is now calling for an all-out ban on the equipment. Meanwhile the rest of the Interwebz joins the fray with other sources using the study as a segue into how a “serious animal welfare issue for horses in equestrian events has been highlighted by new research” (The University of Sydney). While I am all for equine studies that give us new insights into our horses and how to more effectively and humanely work with them, I’m afraid that this study doesn’t exactly do that. To start we could discuss a few of the limitations of the study that potentially render the results tenuous at best — for instance, the fact that none of the horses studied had ever worn a double bridle prior to the study or the fact that it appears that the same bit combination was used for all horses without taking individual mouth conformation into account, both of which could be a cause of the horses’ stress — but I think it’s more appropriate to consider what the study actually proves. While this study does present data that shows that an overly tight noseband (meaning there’s no room to fit anything between the noseband and the horse) on a double bridle does cause an increase in some stress indicators (i.e. 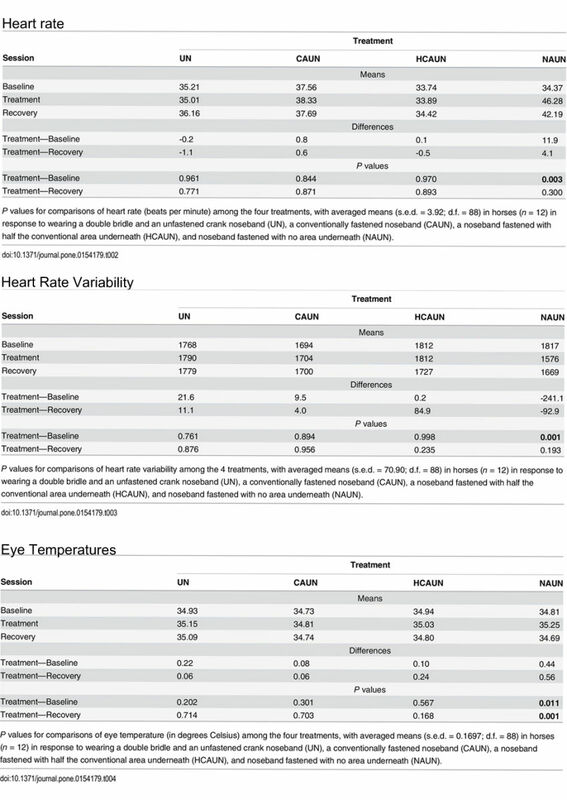 increased eye temperature, increased heart rate, and decreased HVR), their own tables (see below) clearly demonstrate that for all other configurations of the noseband there was no statistically significant difference (note that the p values for everything else are > .05). They even note in the study that “we are not declaring differences to be significant or not at a 5% level, rather presenting the actual P value for each difference and allowing the reader to agree or disagree with the conclusions we draw” (Fenner et al, 2016). 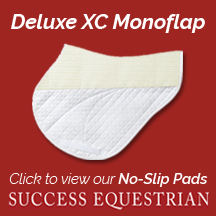 So basically the only thing that they are claiming to have proven is that if you tighten a crank noseband beyond the point that there’s only half as much room as is conventionally acceptable (meaning quite a bit tighter than normal), it causes some degree of stress while also limiting or inhibiting certain behaviors (licking, chewing, swallowing). They did not show that the crank noseband was problematic when applied correctly or even a bit tighter than what is conventionally considered correct. 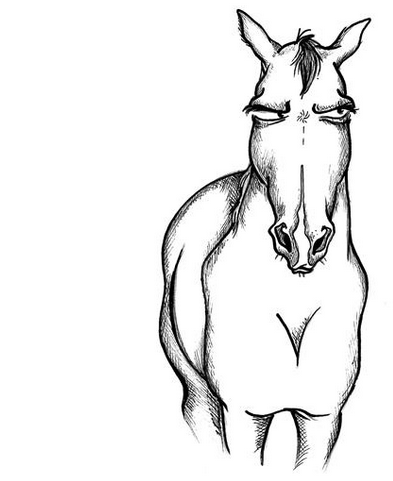 Now not to be rude or belittle the study itself, as I applaud them for looking for hard data to support what I suspect was a forgone conclusion, but did we really need a study to tell us that if you over tighten a noseband it’s going to be uncomfortable? 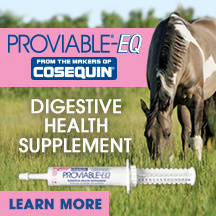 That it would inhibit the horse from opening his mouth? Is that not common sense? The FEI currently has rules in place regarding how tight nosebands can be in competition indicating that this is already being monitored. If it’s already being monitored, then I suspect it’s not something new. A study that proves something most of us probably intuitively knew isn’t particularly alarming to me, but the fact that some are using it as a spring board to attack and attempt to ban certain training devices is a little unnerving at best. Certainly I am entirely against any sort of abusive practices or cruel training devices, but I do not believe that a crank noseband is inherently either of those. Like most training equipment, it falls back on the person using it. 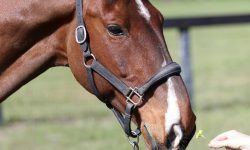 Given the latter, banning a type of noseband because some people apply it incorrectly will not stop abuse nor will it improve horsemanship as some articles have implied. Instead I feel like the attempt itself is a somewhat sensationalized crusade that takes attention away from legitimate welfare issues that need to be addressed in the equestrian community. Not only welfare issues, but other more proactive rule changes — like allowing snaffle bridles in International FEI competitions rather than requiring a double in the first place. It of course doesn’t hurt to revisit the rule regarding appropriate noseband adjustment to ensure it is being appropriately enforced, but that’s it; there’s no need to ban a relatively benign piece of equipment. If we are going to go down that rabbit hole we should probably ban bridles entirely and perhaps even riding competitively since that certainly causes the horse stress. 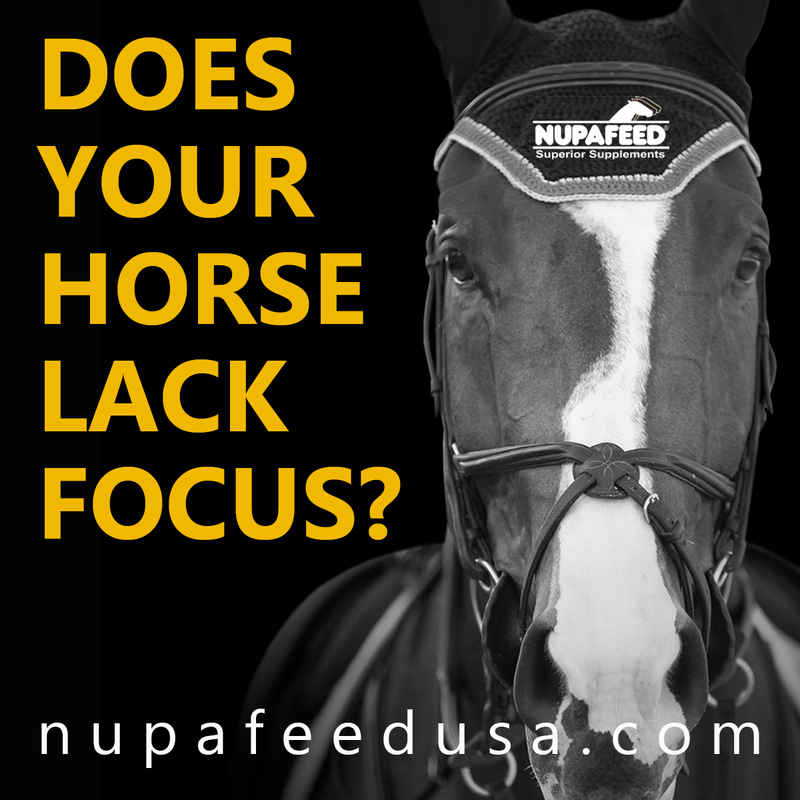 Certainly it is important to continually evaluate ourselves and our sport to ensure that we are doing what’s best for our horses, but I believe we necessarily tread a delicate line when determining where to focus our efforts and put our resources. Ultimately I believe we should be using common sense to honestly assess specific situations and ourselves rather than looking to make blanket assertions and rule changes that are superfluous at best. This post originally appeared on our sister site, Horse Nation. 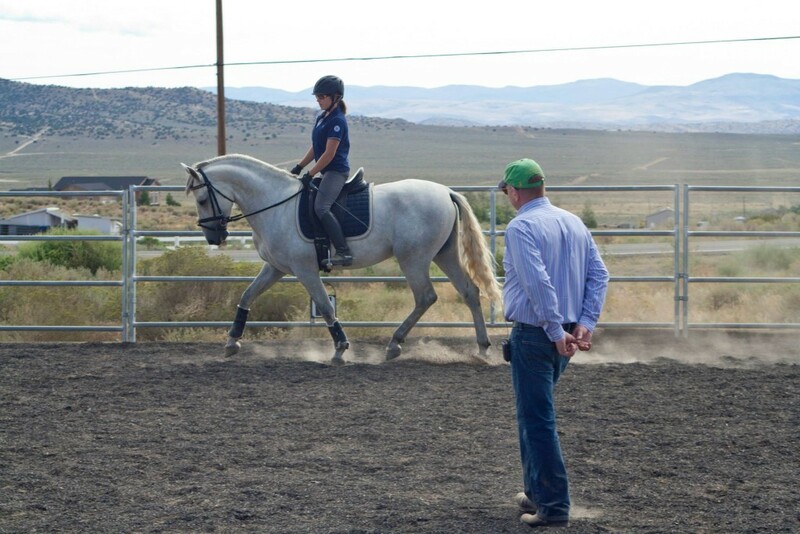 Attending a clinic is a great way to introduce your horse to new environments, connect with fellow equestrians and expand both your practical riding skills as well as your training/horsemanship theory. If you’re somewhat adventurous, it can also be an excellent opportunity to broaden your horizons by giving another discipline a try. 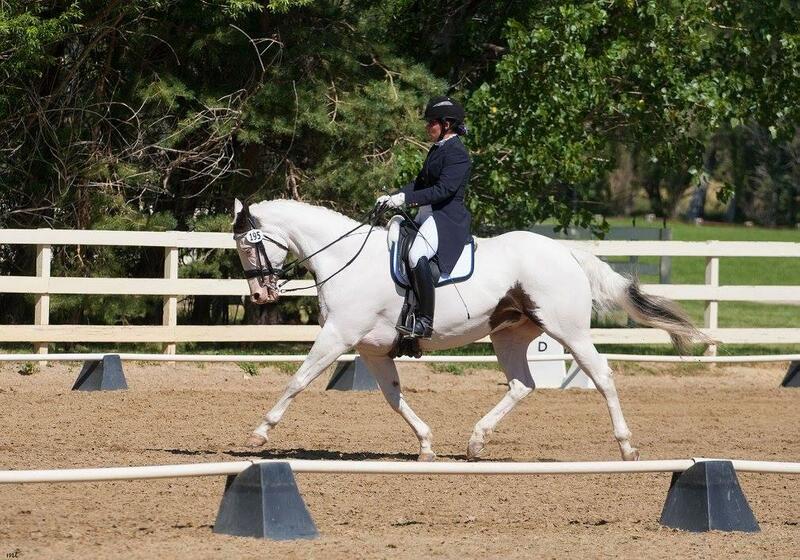 As a dressage rider and trainer, I attend numerous clinics a year with a variety of instructors in order to further my own education (and essentially make sure I’m not totally wandering off into the weeds with my training). While I can’t say that every clinic was sunshine and rainbows (of which I’m not sure I’d even want), I can say that I’ve learned something from each — a new technique, another approach, etc — that made it worthwhile. Being able to add tools to my training repertoire is great, but having fresh eyes on my horse and our work has proven even more invaluable. For all the potential awesomeness that there is to be gleaned from riding in a clinic, there are a few pitfalls that you’d do best to avoid. For those of you who regularly attend clinics, none of this will be a revelation, but for those new to the clinics hopefully the below guidelines will help you avoid any sketchiness and get the most out of your experience. Yes, you CAN learn from anyone. But do you REALLY want to? It’s nice to know what you’re getting yourself into. 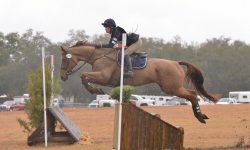 There are some amazing equestrians out there, some of which you’ve likely never heard of, but there are also a few shysters you’d probably like to avoid. Do yourself a favor and ask people you trust if they are familiar with the clinician (i.e. your trainer, if you have one, other riders you know and respect, etc). If the clinician has a website look through that too and see if they sound like someone you’d be interested in working with. 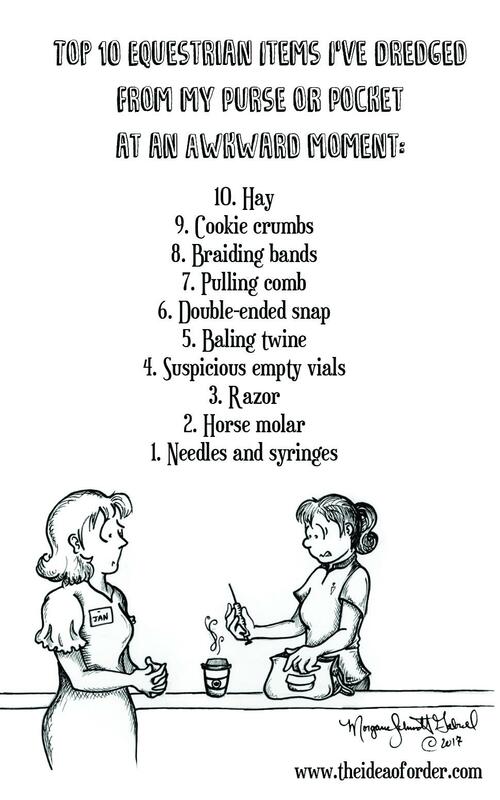 In addition to the above, you should also at least do a cursory Google search on the clinician and see what pops up (or for some real fun, head on over to The Chronicle of the Horse Forums and search there); you’d be amazed at what you can find out. 2. Consider the venue and clinic style. A private barn with one-on-one instruction is one thing, the fairgrounds working in groups of 20 next to the team roping pen is another. This distinction matters. Some horses are rock steady in nearly any environment and others are a bit more particular. 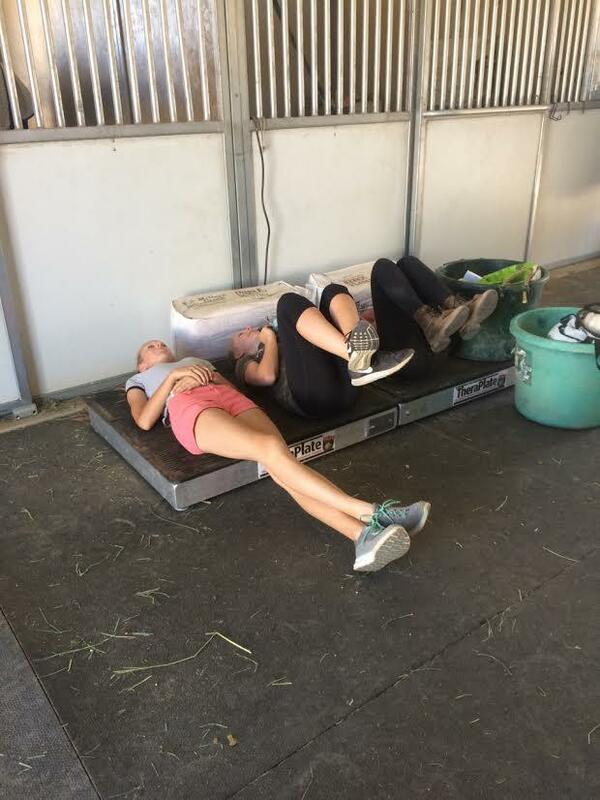 If your horse is in the latter camp, do yourself a favor and look into where the clinic is being held and the format (individual lessons or group sessions). 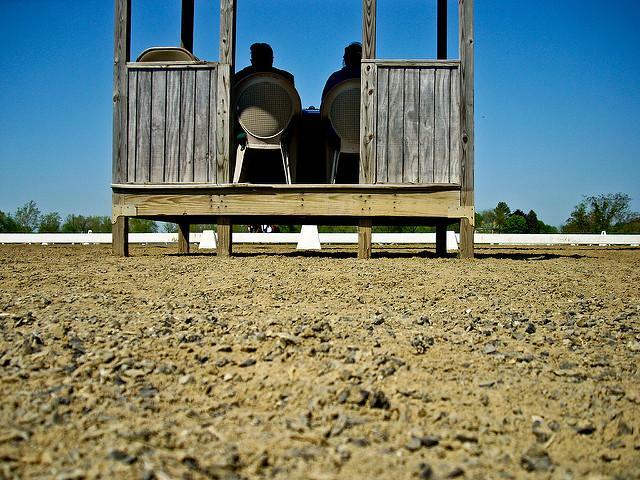 Then assess if you think that will be a suitable environment for you and your horse to learn in. 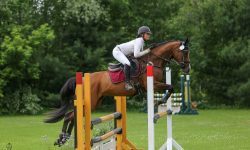 While I think stepping outside your comfort zone is super, and exposing your horse to new things highly beneficial, I think that both need to be done in such a way that no one’s brain is fried in the process. While I would ride my ten-year-old, I-1, APHA horse nearly anywhere without a second thought, I’d be less inclined to do so with my young Dutch horse. 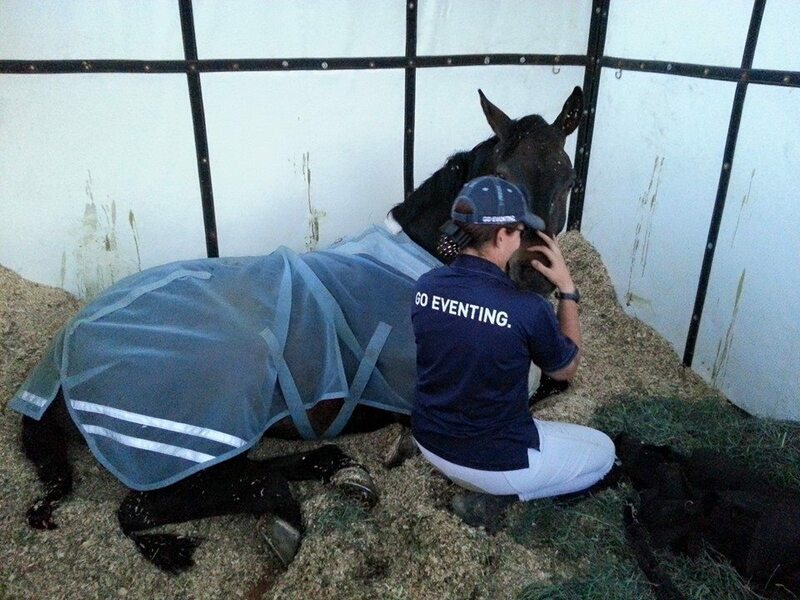 Whatever the venue and format, be sure to arrive with plenty of time to acclimate both you and your horse. With my young horse, if it’s a new place for him and I have the option of going a day ahead I often will. I want my horse to be as relaxed as possible so that I can focus on the lesson rather than merely trying to survive my unruly youngster while he tries to plant me in the arena footing. For your warm-up, try to do the same routine you do at home. The familiarity of the warm-up can help relax your horse even when the environment isn’t familiar. Trying new things is great; doing things that you know will get you bronced into the rafters is just poor decision-making. The Beastlet and I having a team meeting. 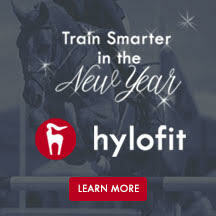 While there are a myriad assortment of training techniques, and there’s usually no harm in trying new ones, if you know your horse is likely to have a melt down with something it’s best to let the clinician know and see if adjustments can be made. This isn’t to say you shouldn’t trust the clinician’s instruction — after all, that’s what you’re paying for — but it is to say that you know your horse best and ultimately will need to make the call regarding what’s best for you both. There have been a few times in my riding career where I’ve pushed my horse past his comfort zone in the name of being a good student and I’ve always regretted it. You and your horse are a team; don’t forget his part in that. 4. Remember the importance of presentation. Just because they make breeches in ‘blaze orange’ doesn’t mean you should wear them. I’m a huge fan of fun colors and bling (and harassing my less adventurous DQs with both), but even I know there’s a line (somewhere). Regardless of the discipline, you can’t go wrong with mostly conservative colors and a tidy appearance. Adding a dash of color or bling is totally fine, but try to avoid head-to-toe blinding color and sparkles if you want to be taken at all seriously. It’s also necessary to make sure your horse is well groomed and turned out. Be sure his tail is brushed through and his coat is free of crud. If you use boots they should be clean and tidy, as should all of your tack. For some upper-level clinicians, braiding is also appropriate. 5. Assess the take-home message. What DID you actually gain from this besides killing a day (or two!) and having a lower balance in your bank account? A fun trick, but definitely not helping us get to Grand Prix. 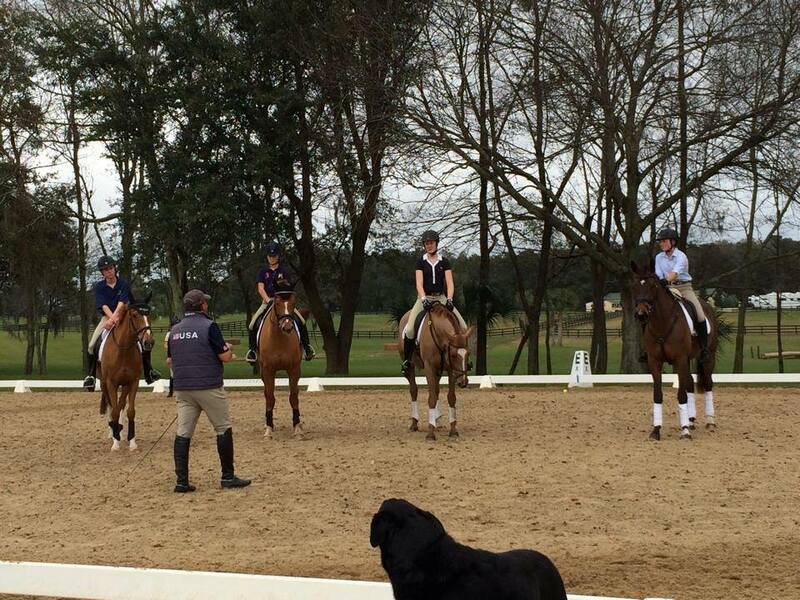 After each clinic I try to review what we worked on and how/where it applies in the grand scheme of my riding and training. Essentially I ask myself how what I learned will shape my next training steps. This helps me determine the value of the clinic and if I’d want to ride with the clinician again in the future. While I feel like I’ve been fortunate and have learned something from almost every clinic I’ve attended, there are sadly times when that doesn’t happen. 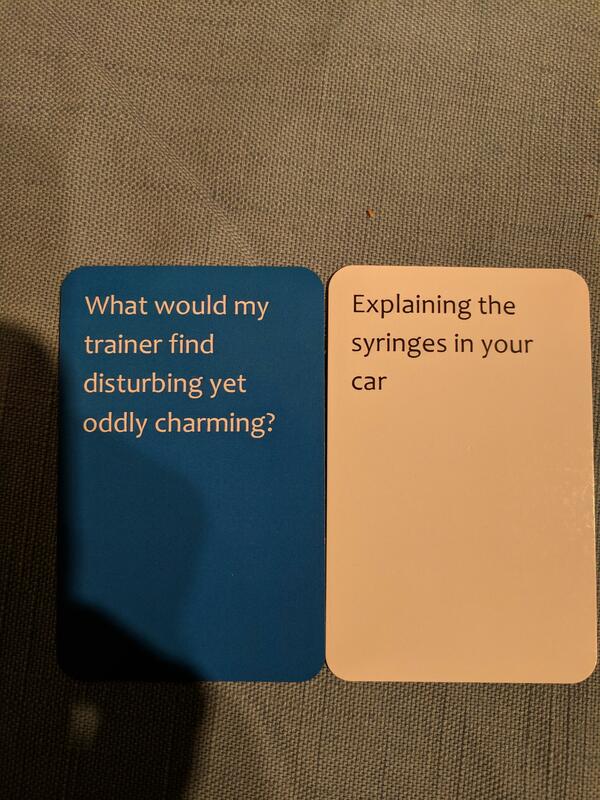 Unfortunately I think that there are clinicians who are able to make you feel positive and successful during the clinic by focusing on a small gimmick or trick but that success is not necessarily useful later because it doesn’t actually have a place in your greater training picture (i.e. it doesn’t further your training). For instance, I’ve taught my horse how to “smile,” which is really cool, but it isn’t something that’s going to help our future piaffe. Ultimately, if you ride in or audit a clinic that seems to offer a lot more tricks than actual tools/methods that can be used to develop your horse, keep that in mind for the future.